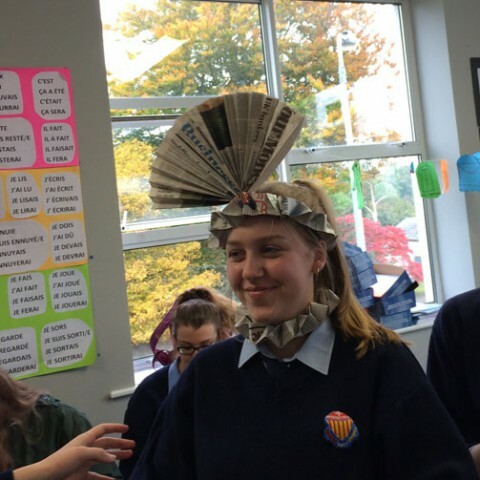 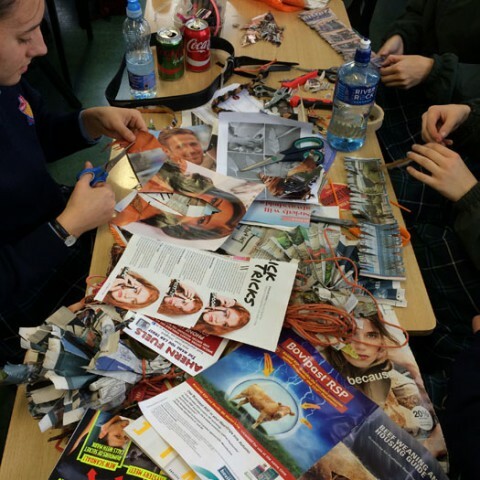 St Brigids College Callan – Upcycling and Callan Couture! 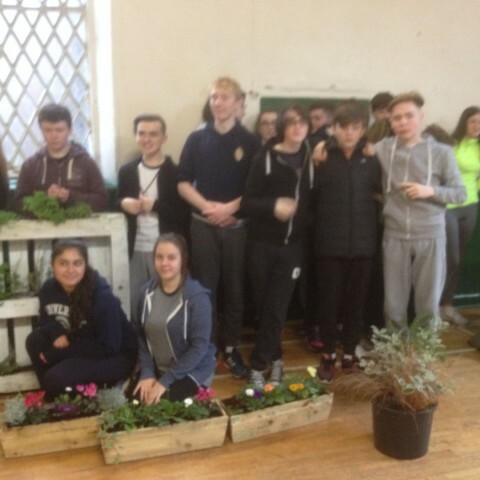 A new year once more and 1st Years from Kilkenny College visited the Susliving Demonstration Centre over the course of 3 days to experience some fun and interactive ways of sustainable living! 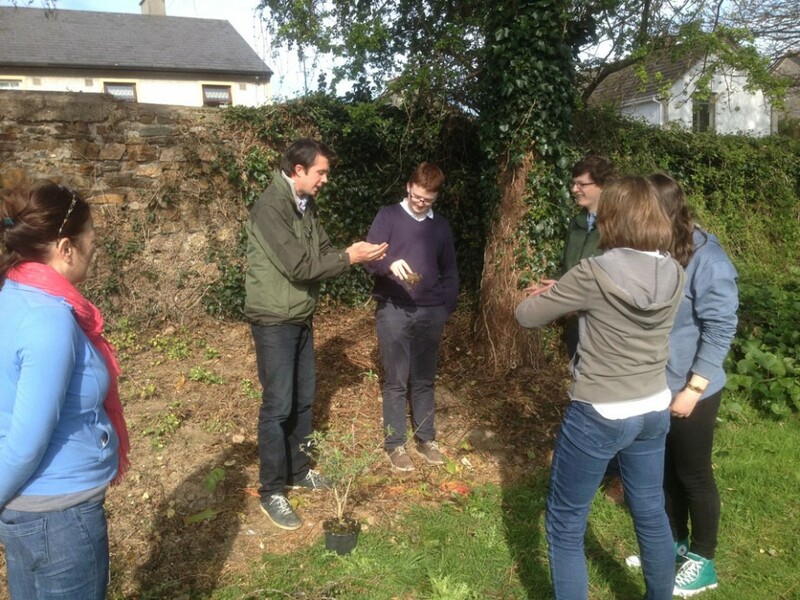 As part of the Susliving Third Level Programme in Gurteen College, Susliving recently arranged for students of the Environmental and Sustainable Farming course to visit one of Mcdonald’s Flagship Farms. 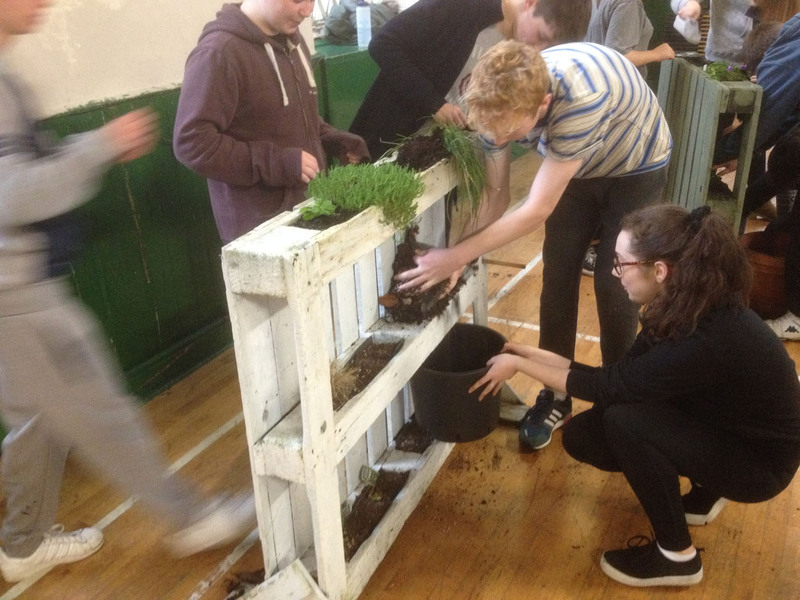 The Environmental and Sustainable Farming course is provided in conjunction with Susliving to give students the relevant knowledge, skills and competence to farm in an environmentally friendly and sustainable manner. 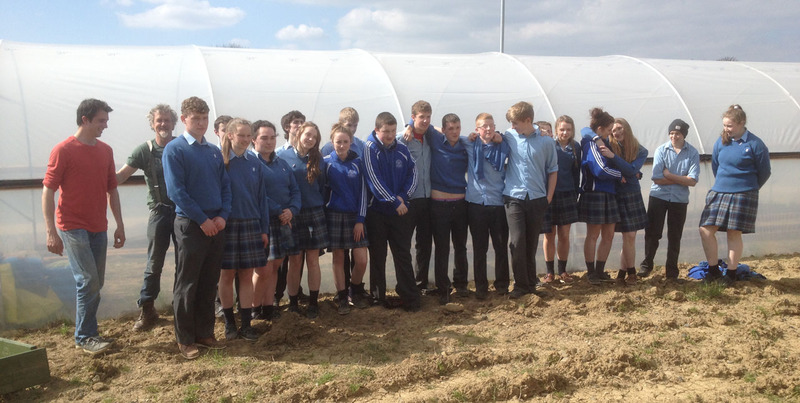 Operating across all sectors of farming, these Flagship Farms are suppliers to McDonald’s and have been identified for their excellent practice in sustainability and high standards. 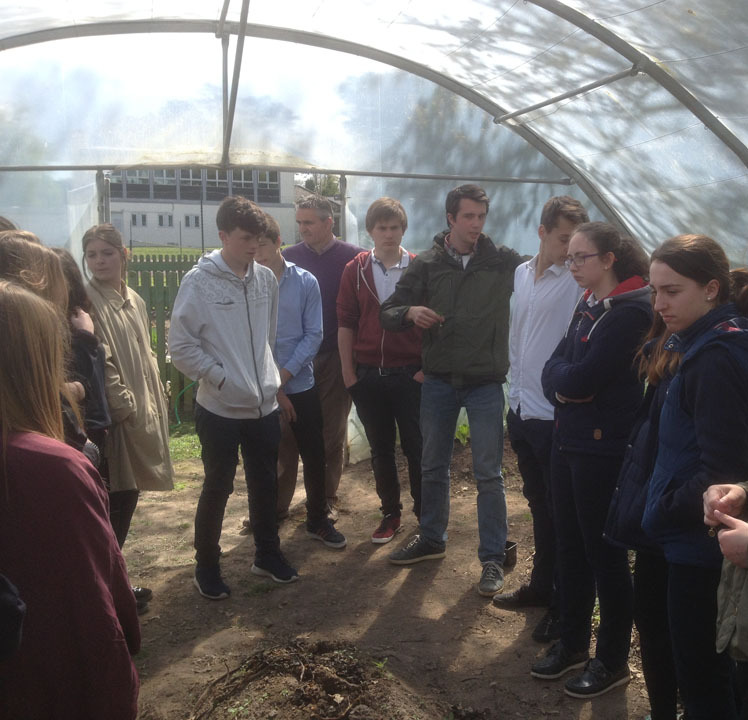 As part of the Flagship Farms scheme, the farms encourage sharing of sustainable farming practices, and the students had a great experience visiting Dempsey Beef Farm. 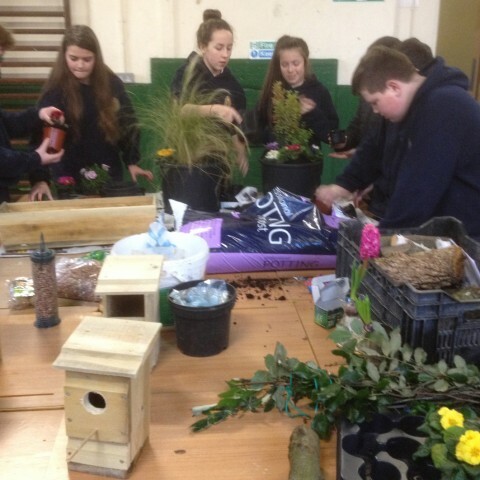 On Wednesday the 27th of April the green schools committee were so fortunate to have a workshop by Susliving come to the school. We were out in the back end of the school by the polytunnel where we were doing all sorts of different activities. 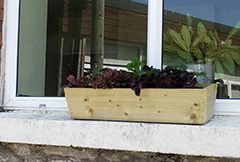 I started off along with Sarah making a window box full of strawberries and lettuces. 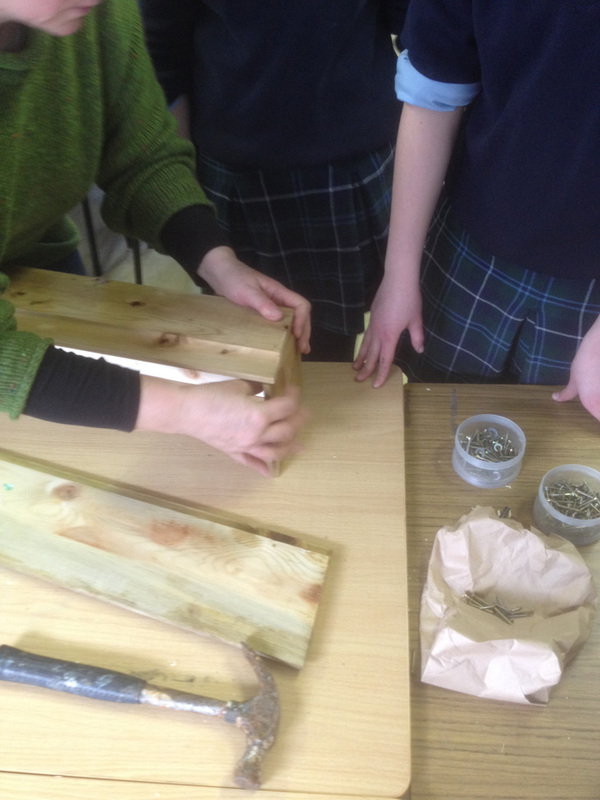 We made the box ourselves from used wood that we measured and sawed, then nailed together. 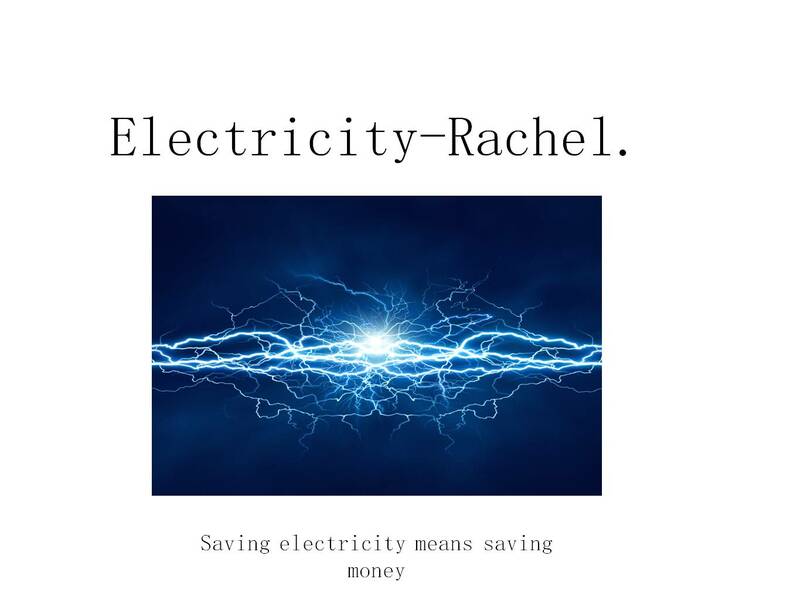 It was surprisingly simple! 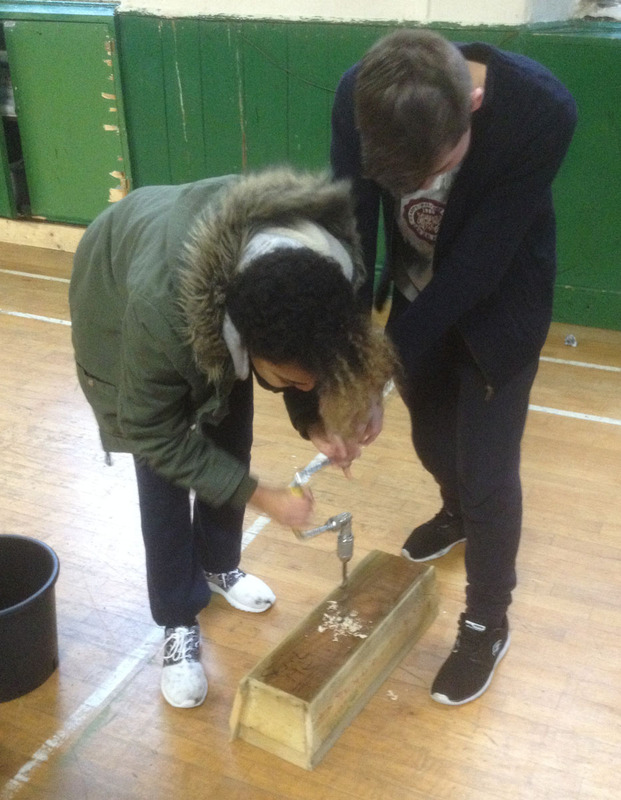 We then placed stones over holes in the bottom to add a filter for the water to flow through without dragging the dirt out also. 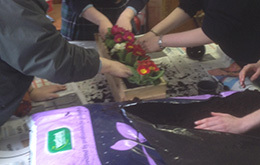 We then proceed to fill the box with soil and plants, it was really hands on and great fun! 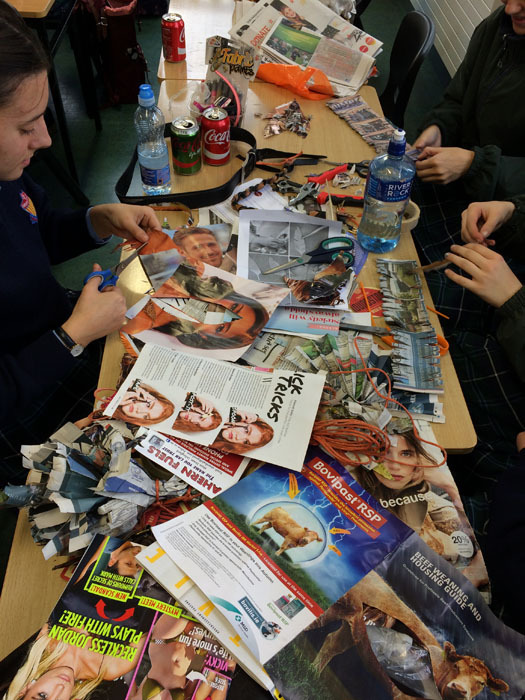 Tuesday 3rd May saw a very successful workshop with the Transition Year students at St Bridgid’s Callan. 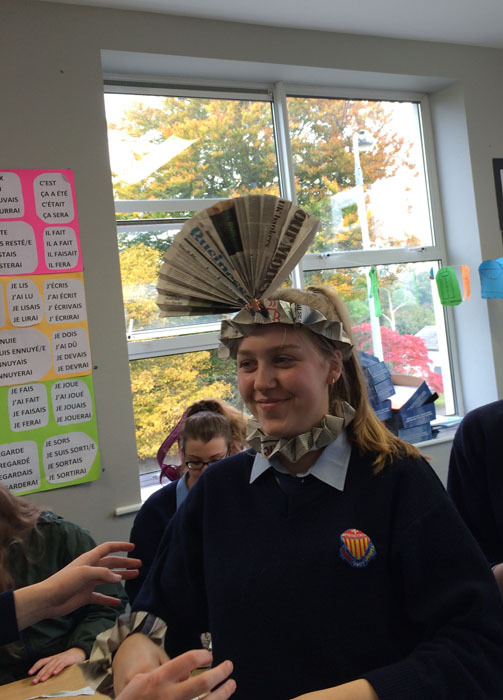 Following on from our previous visits involving workshops on gardening skills and biodiversity, including recycling and re-purposing, the students have taken on a project to use the waste materials from the school to produce unique outfits in the style of Junk Kouture. 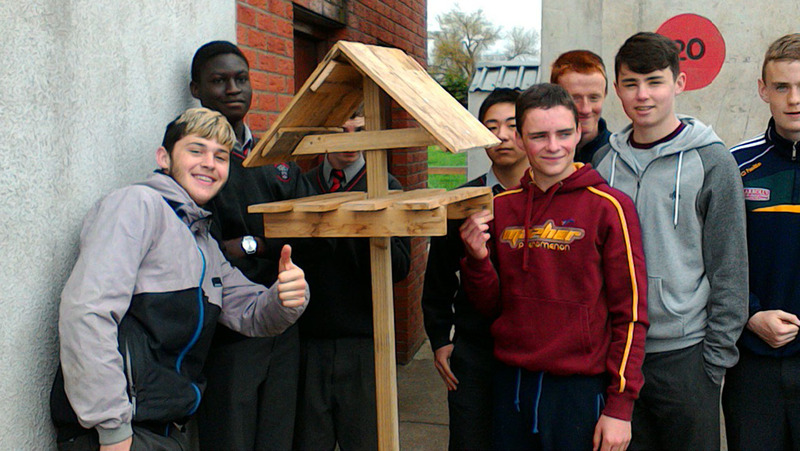 Another visit to East Glendalough School with the Transition Year students and Susliving Tech Mentors! 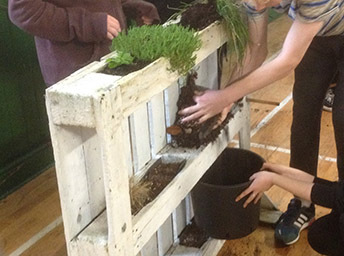 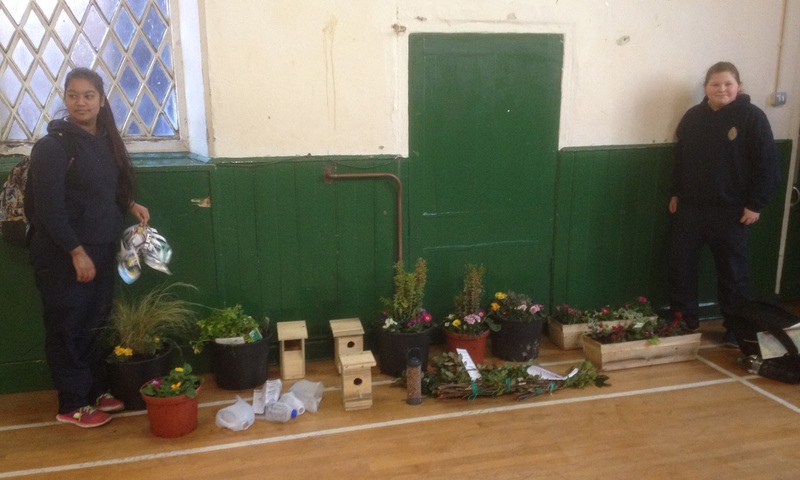 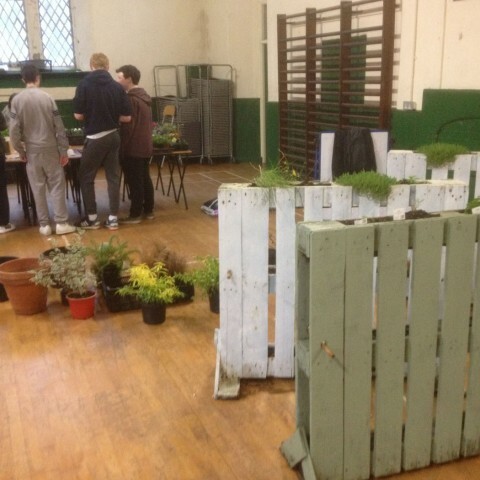 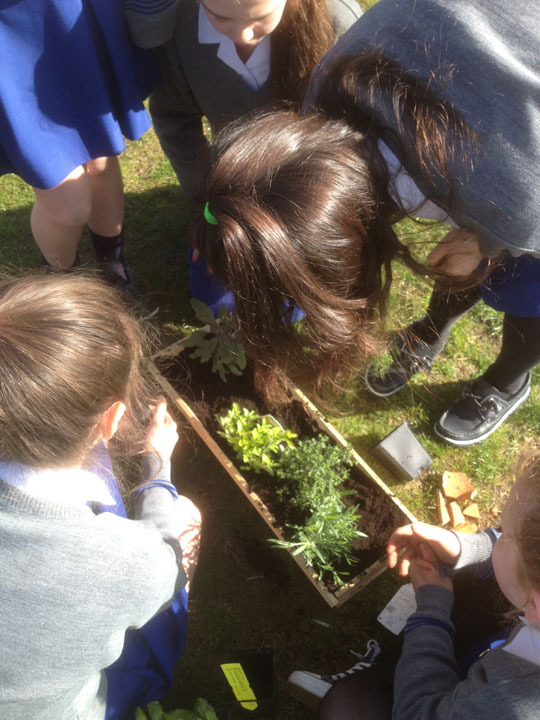 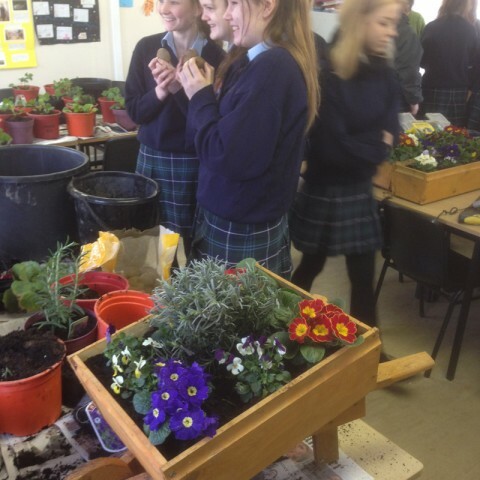 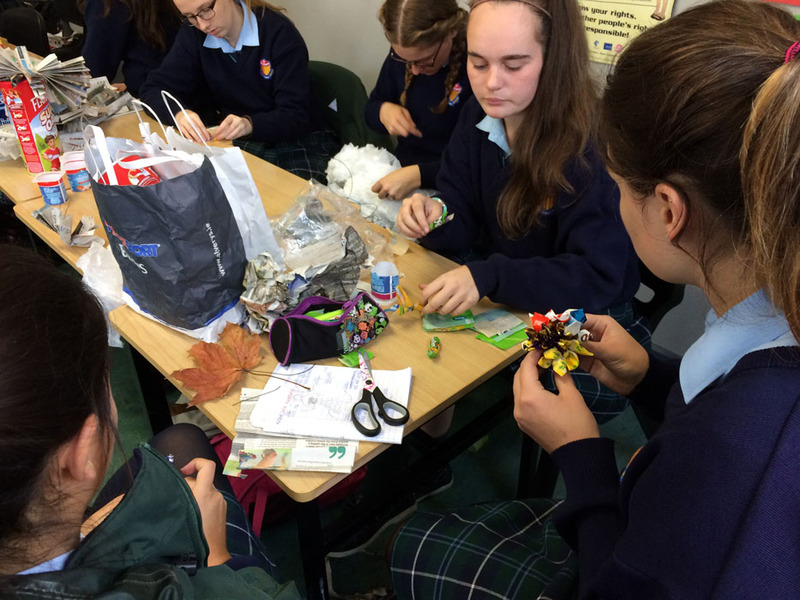 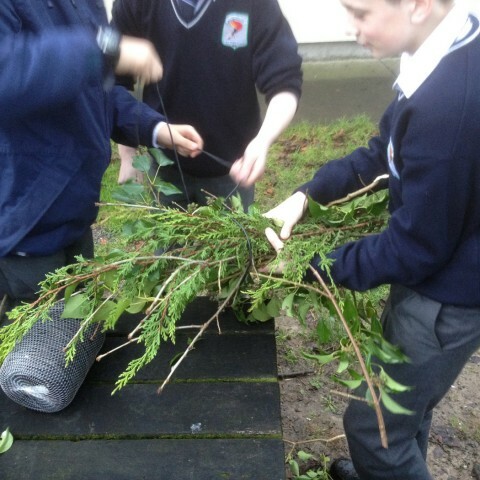 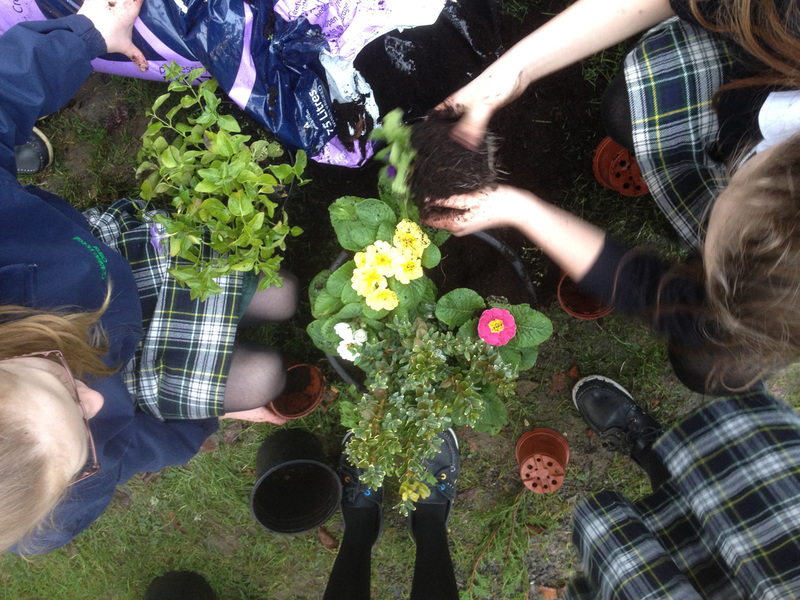 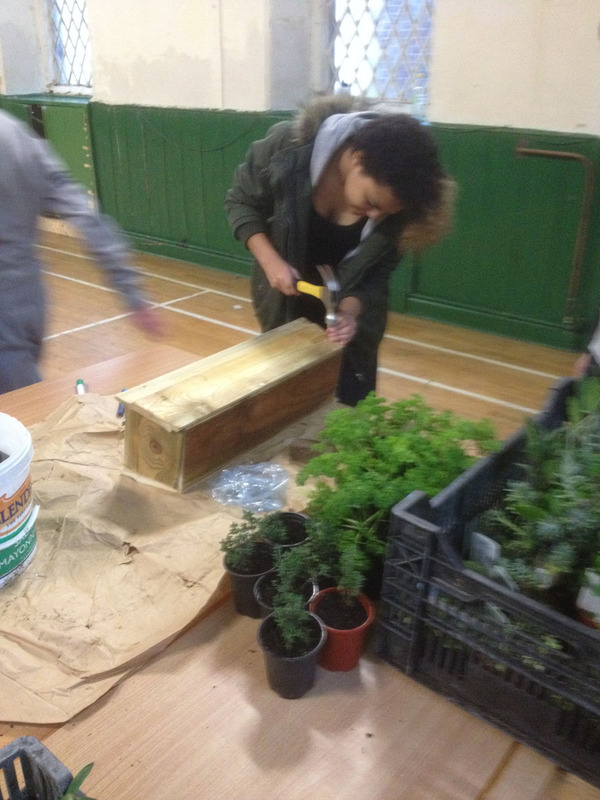 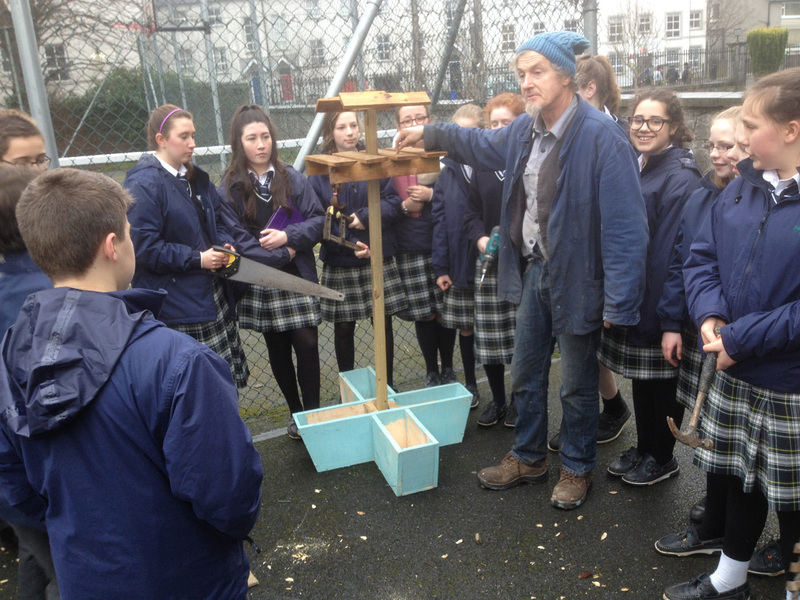 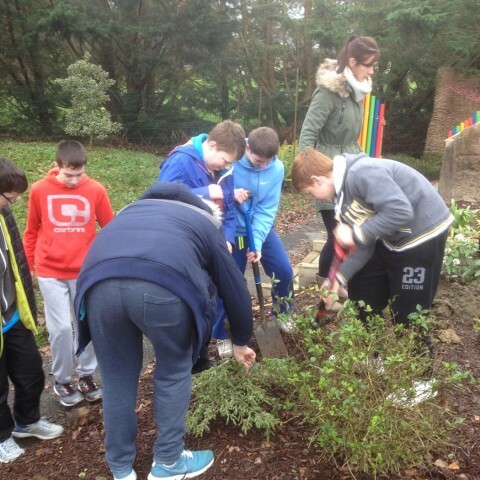 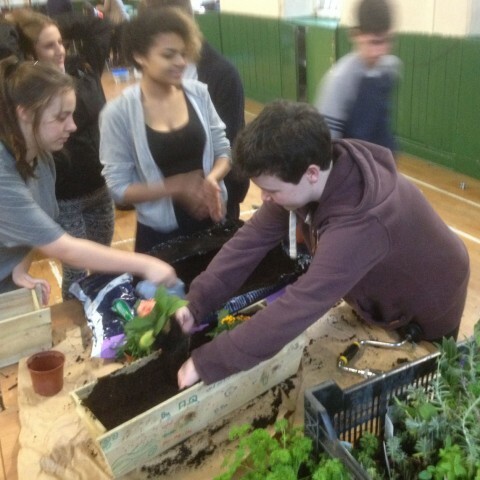 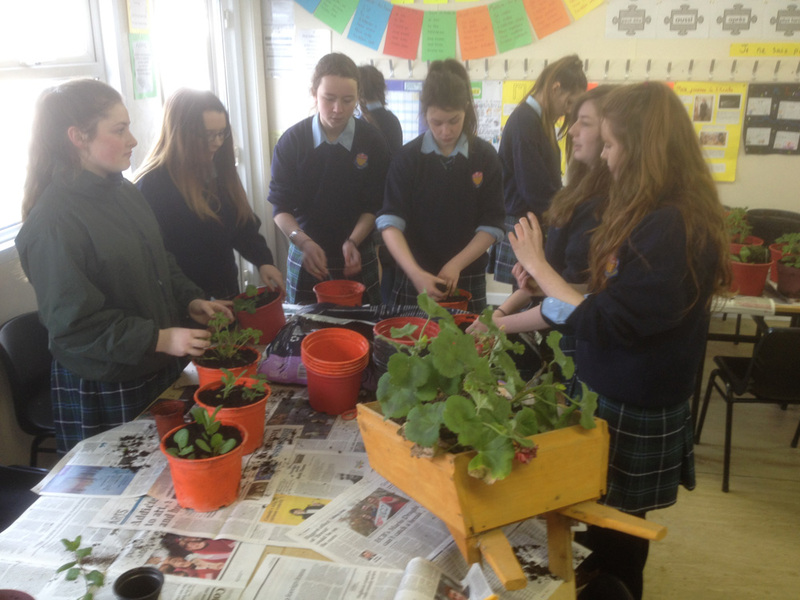 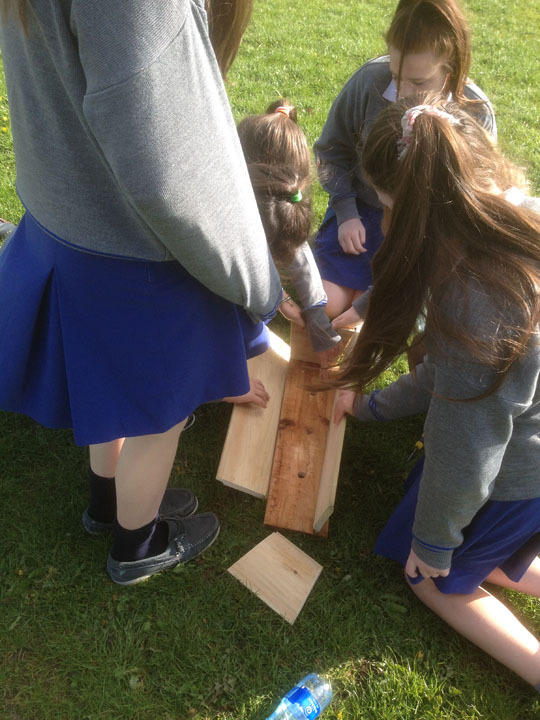 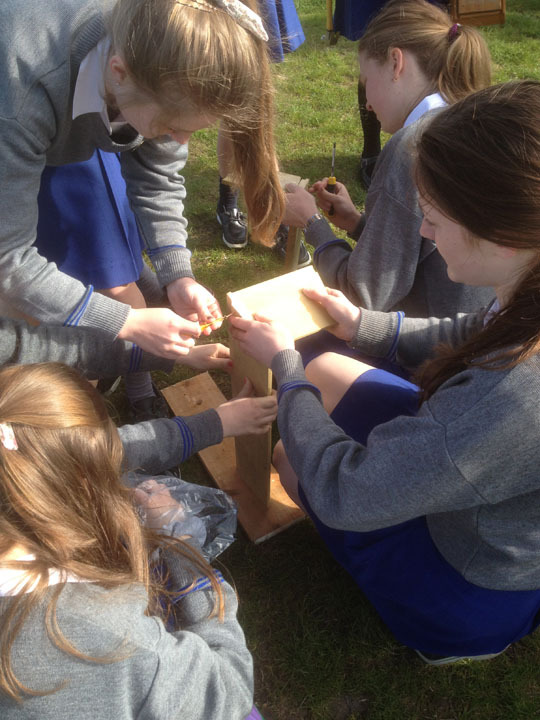 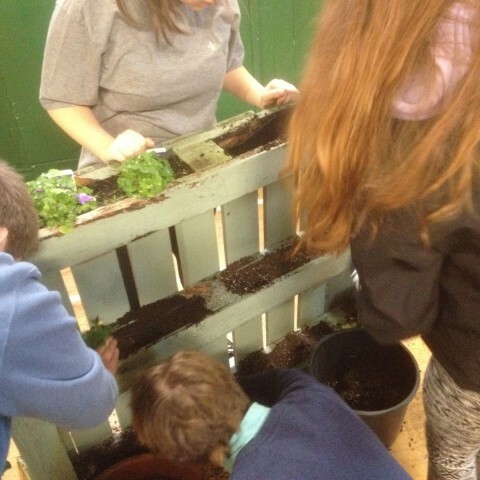 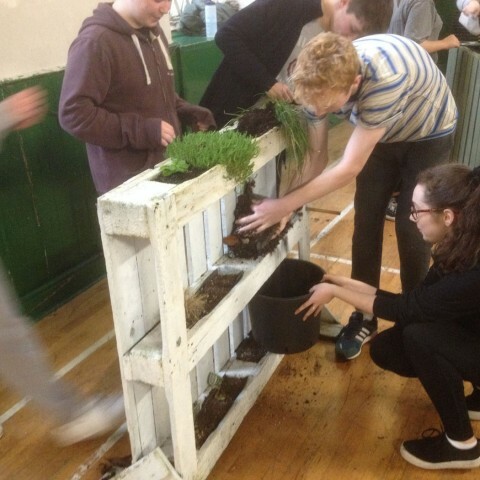 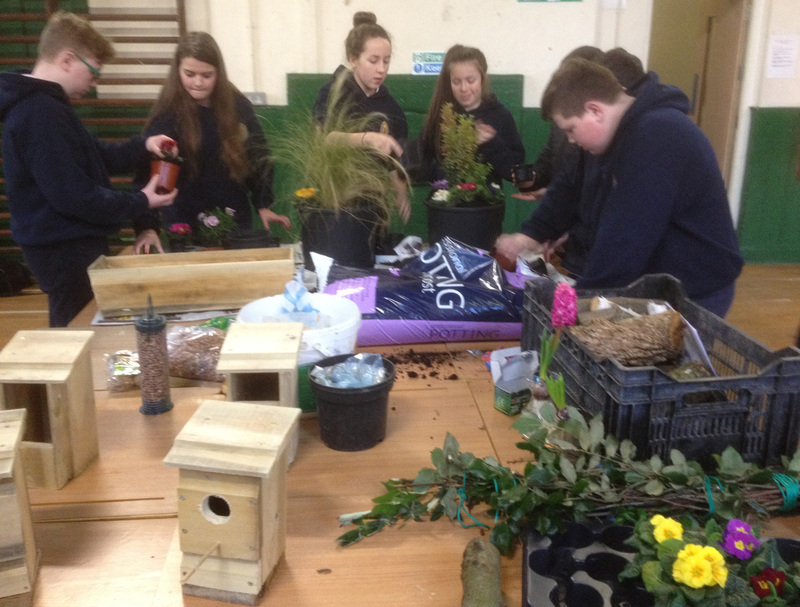 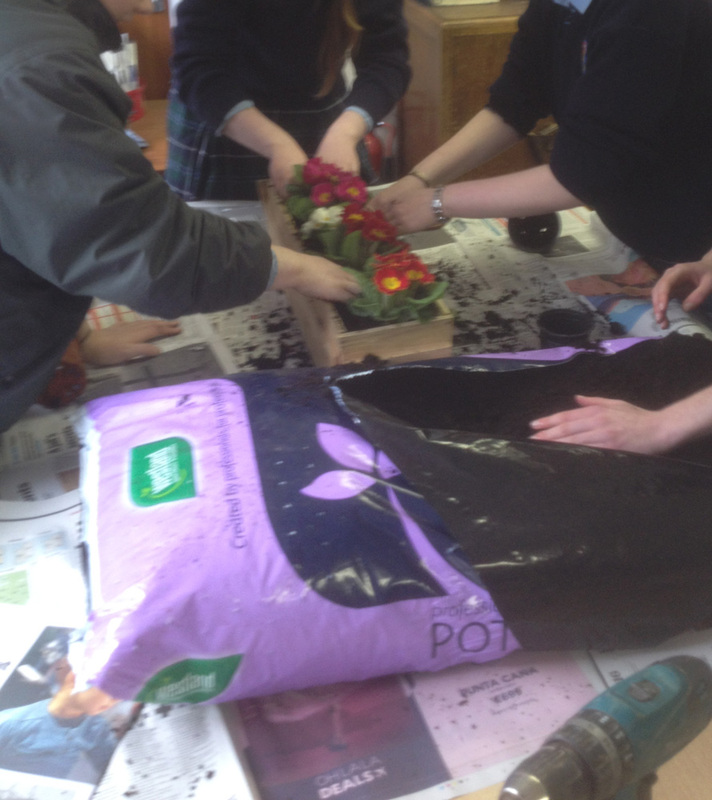 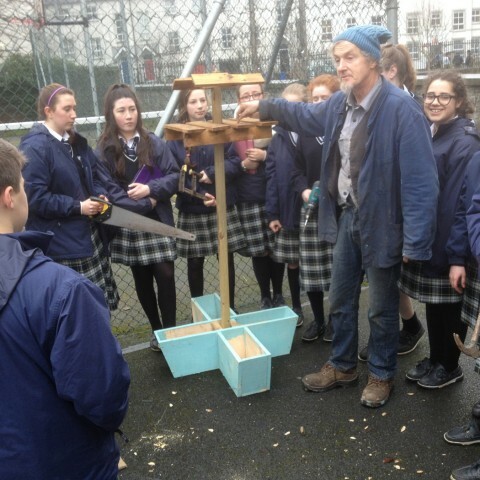 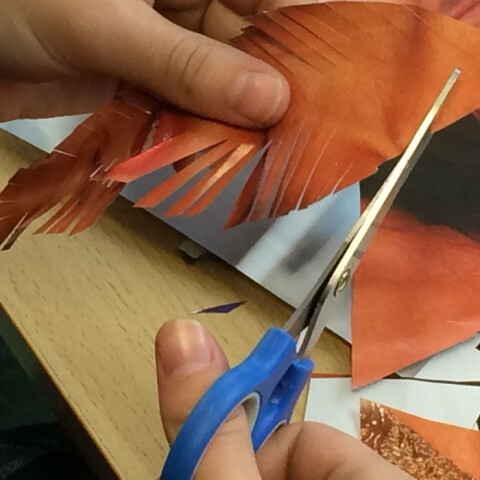 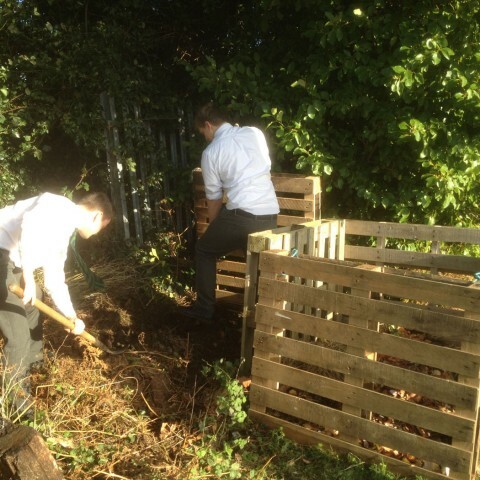 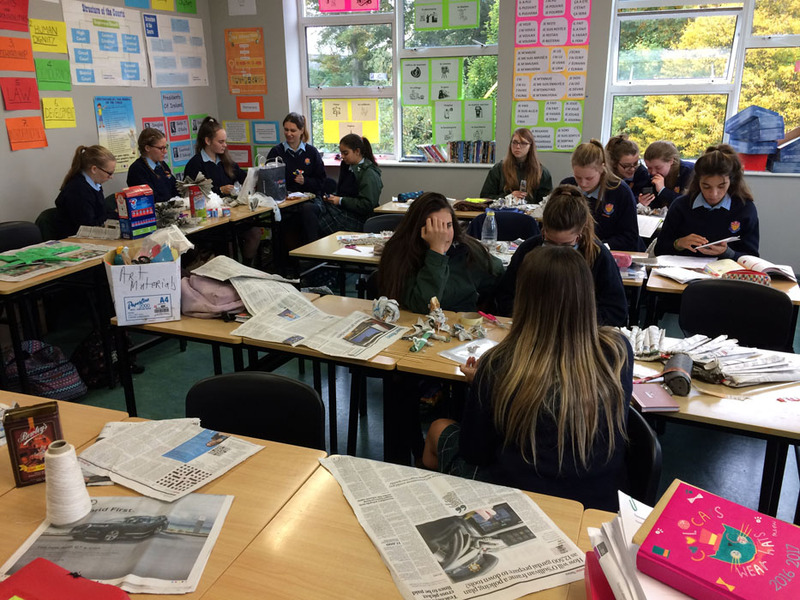 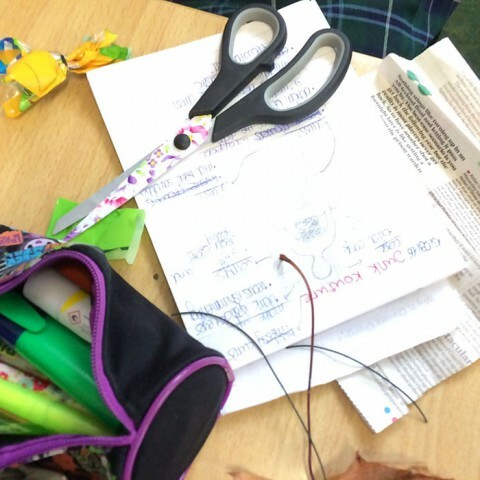 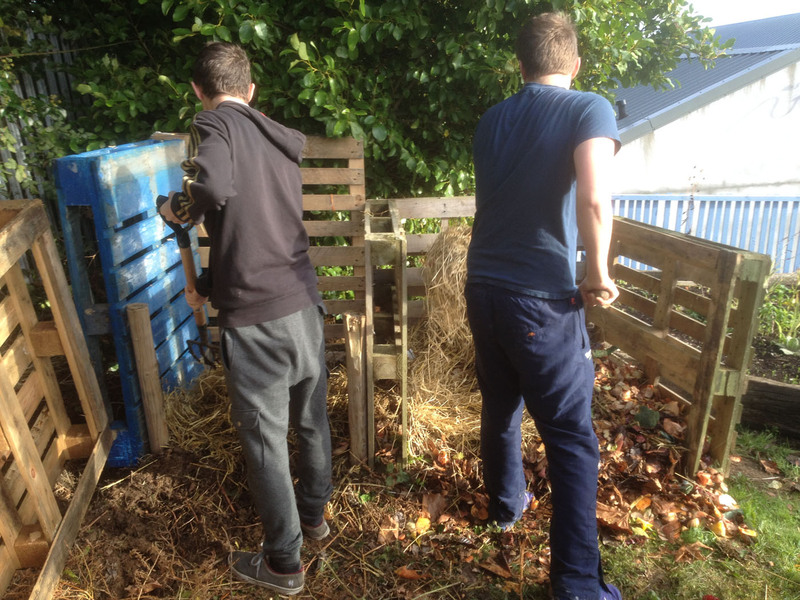 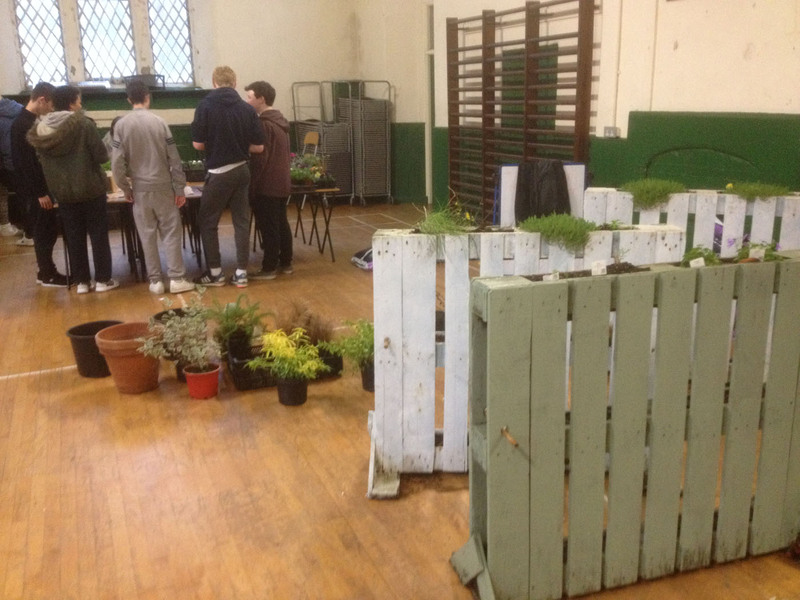 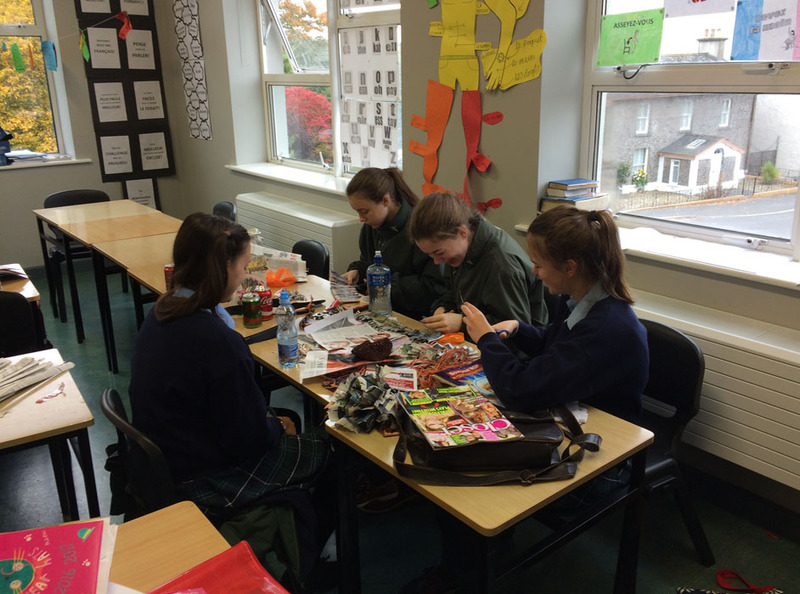 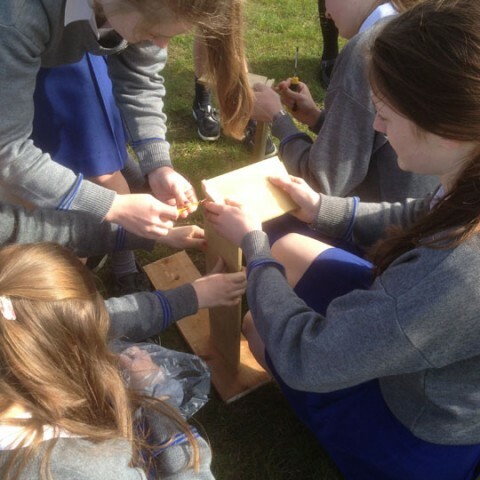 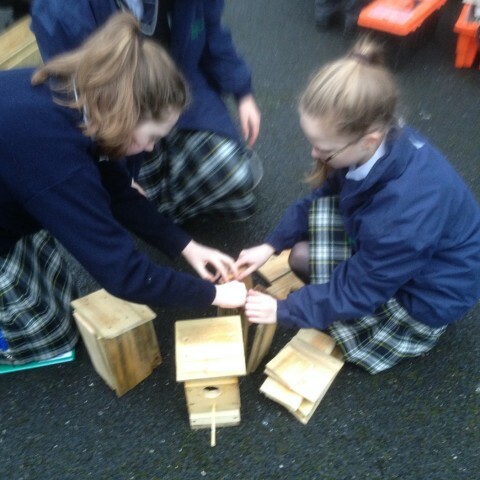 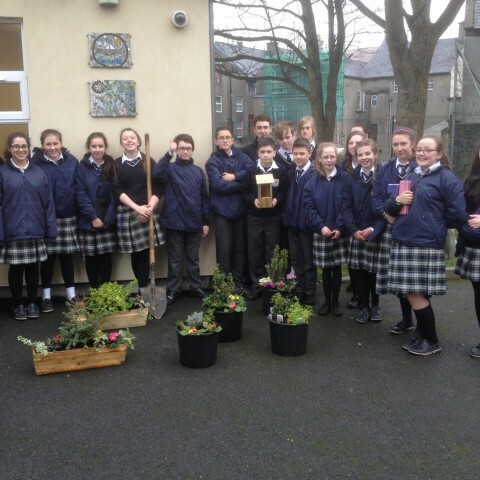 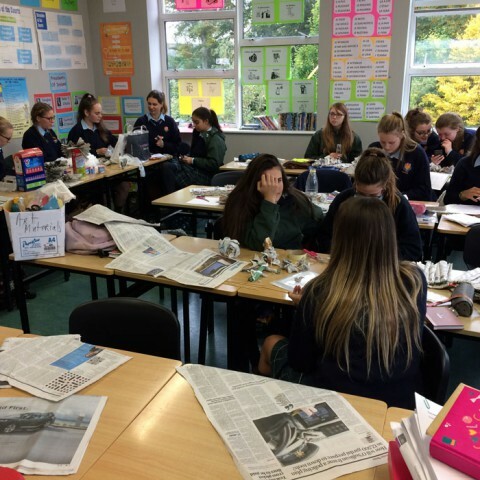 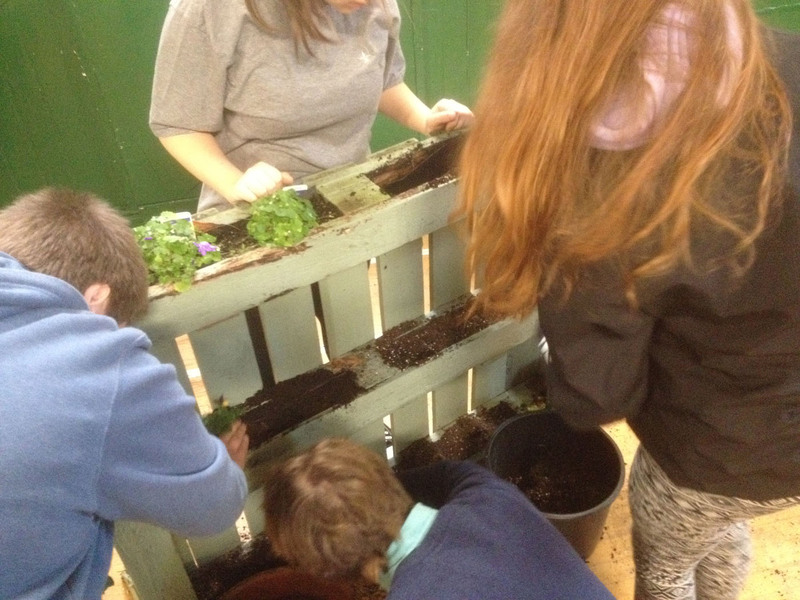 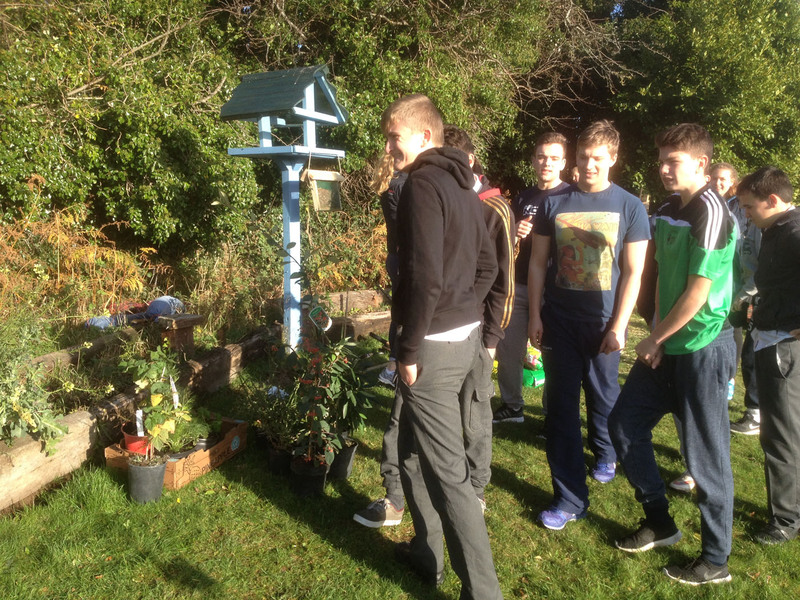 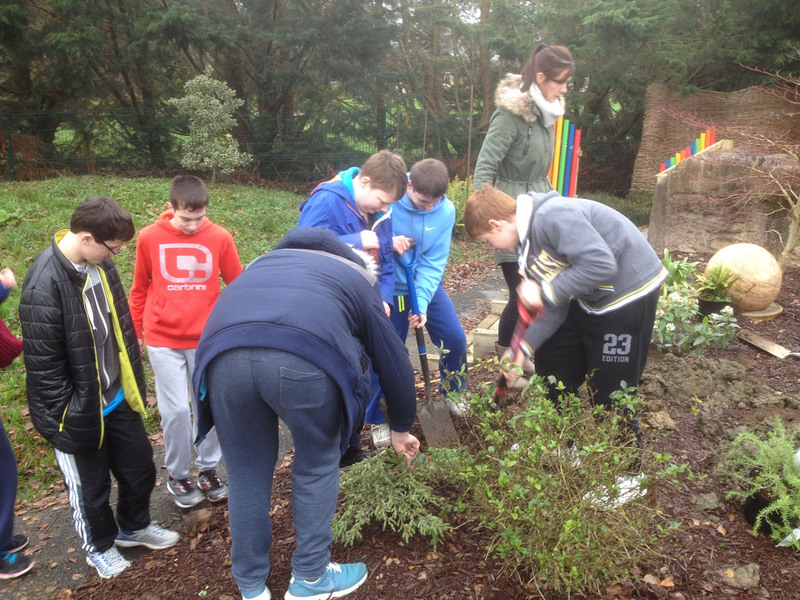 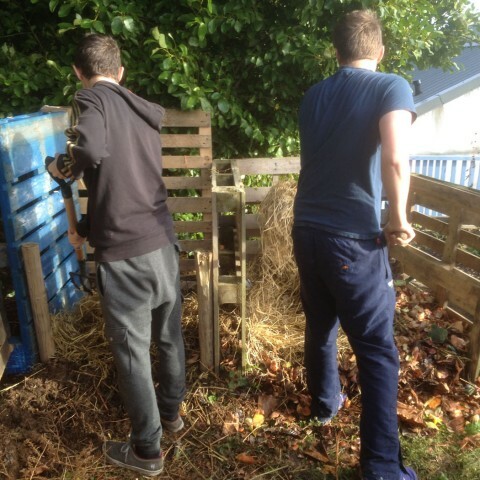 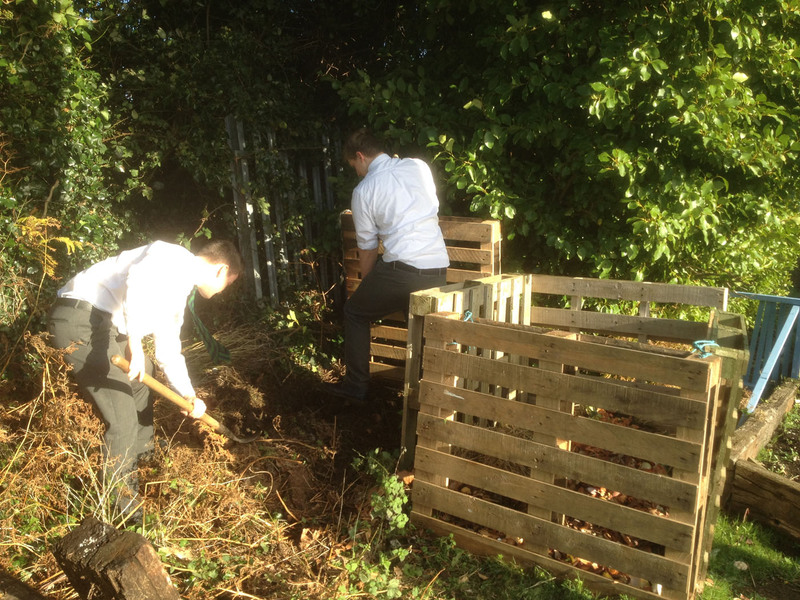 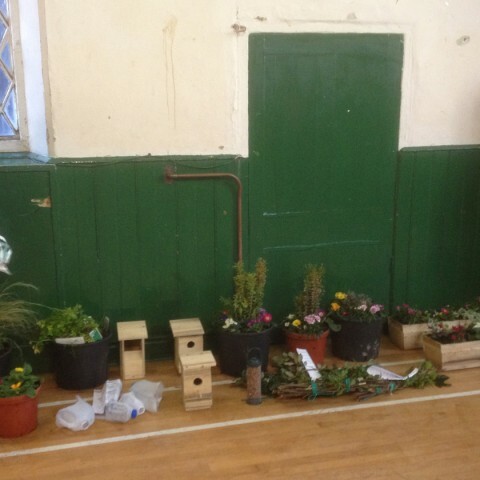 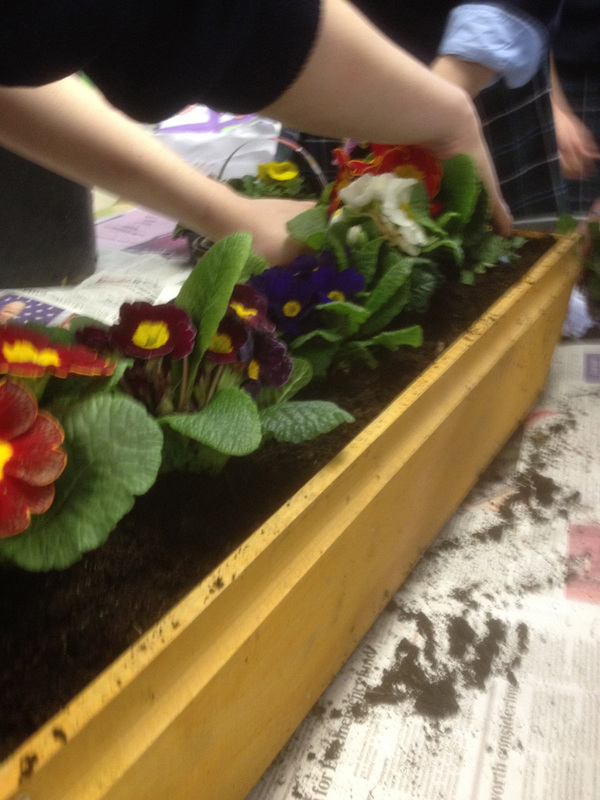 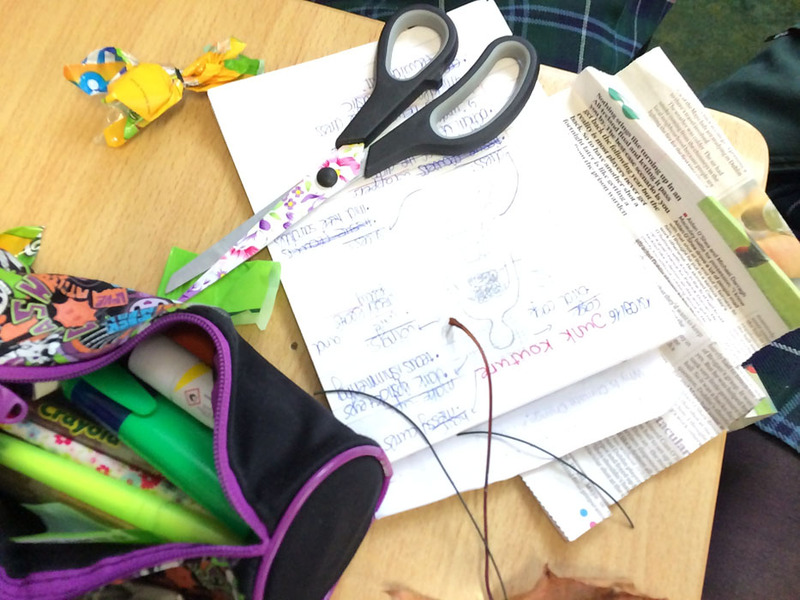 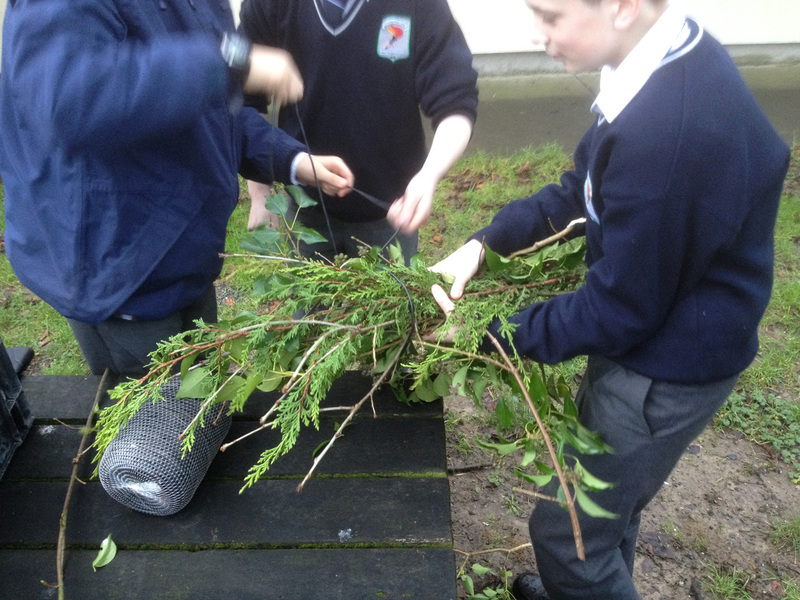 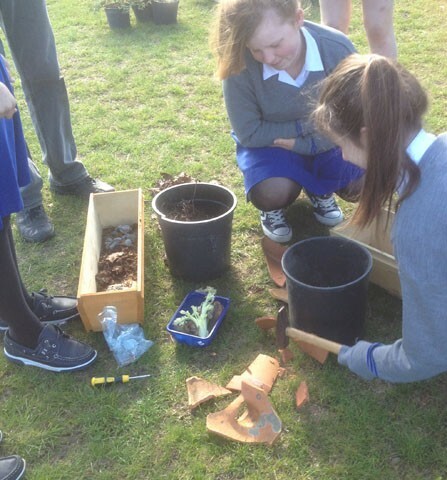 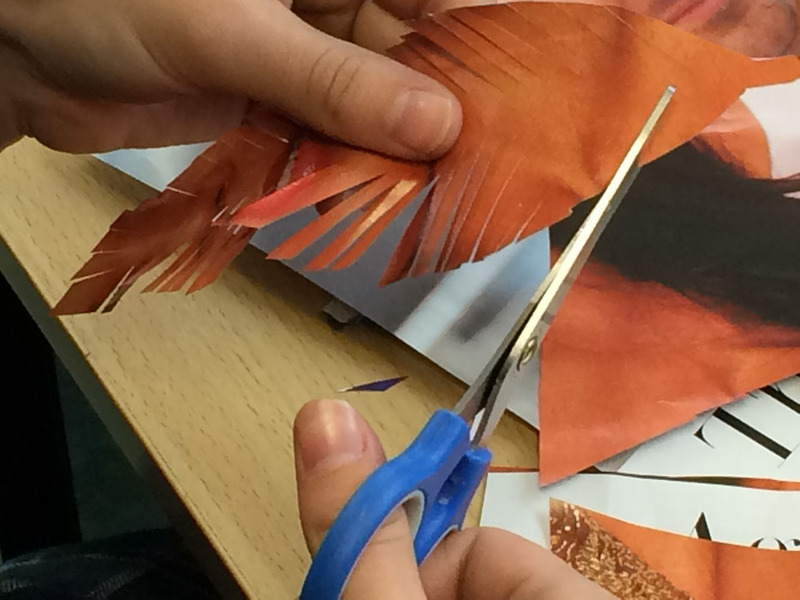 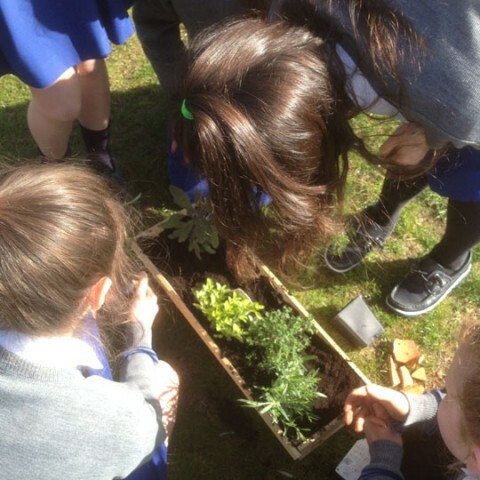 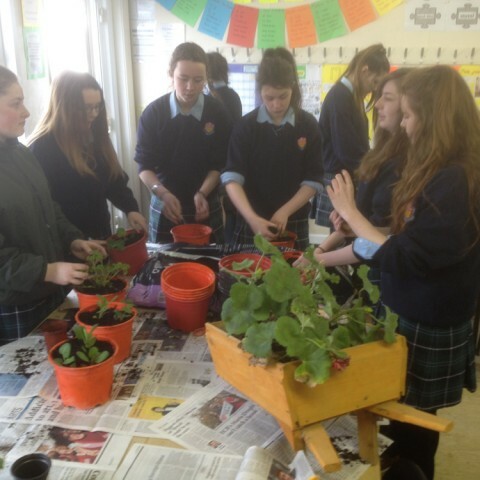 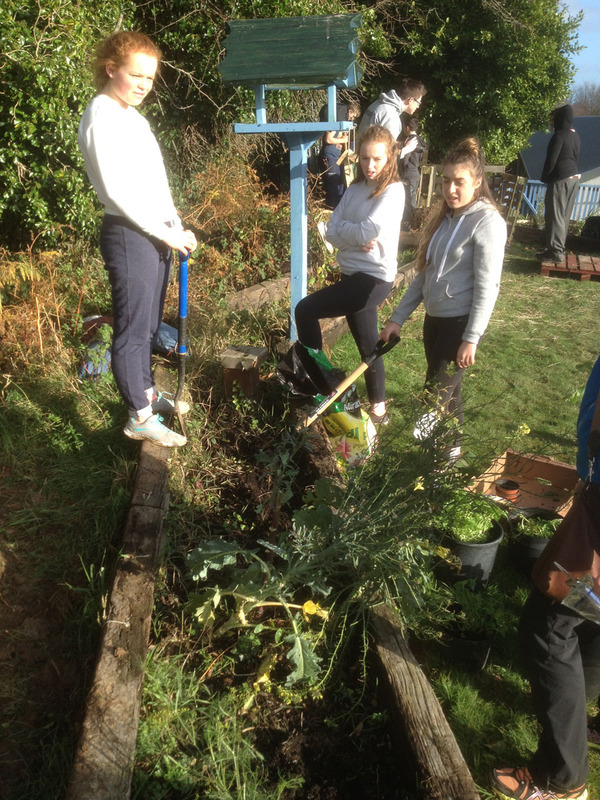 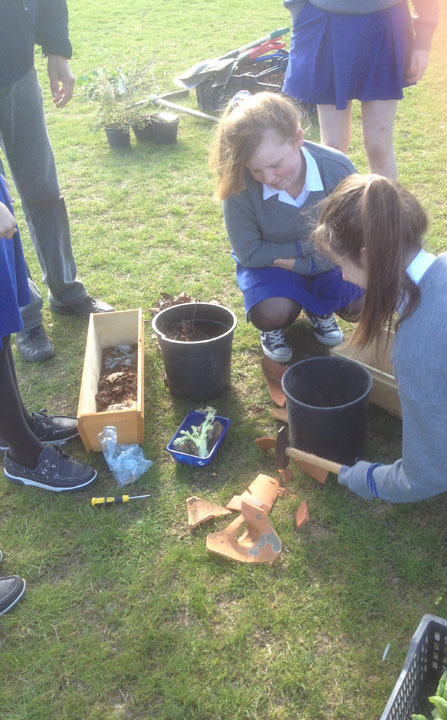 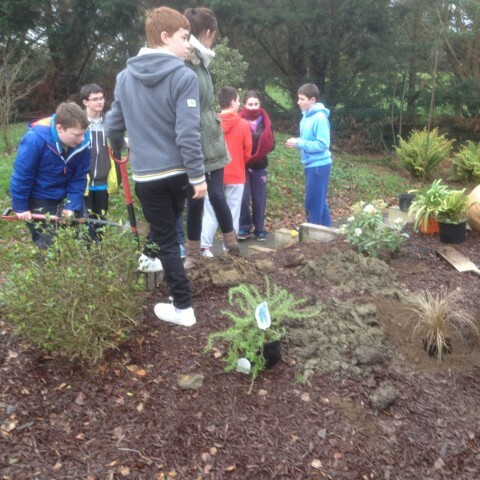 Coláiste Pobail Osraí – Garden Creations and Repurposing Workshop! 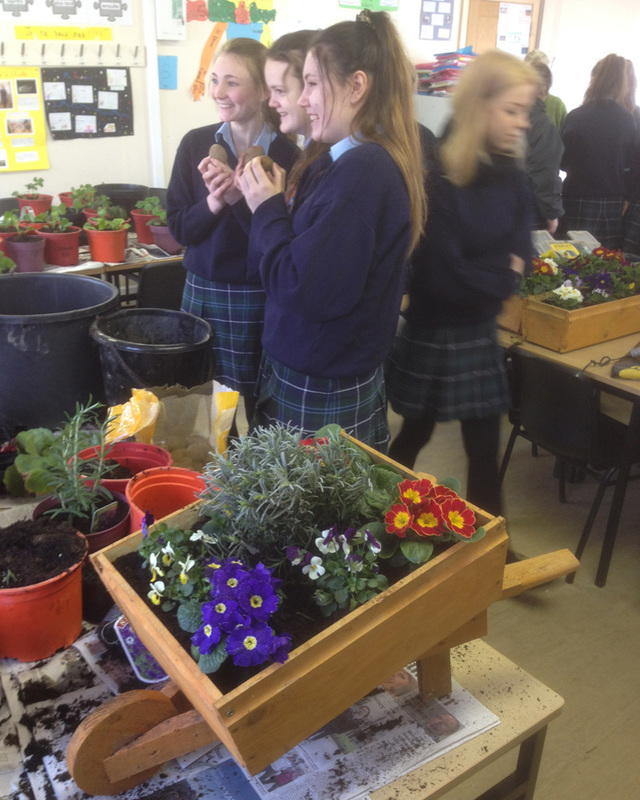 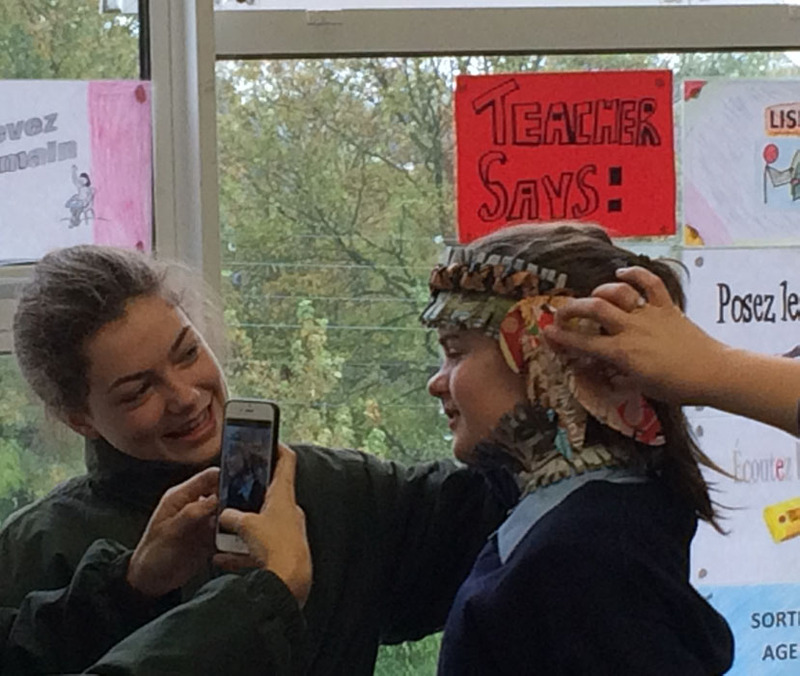 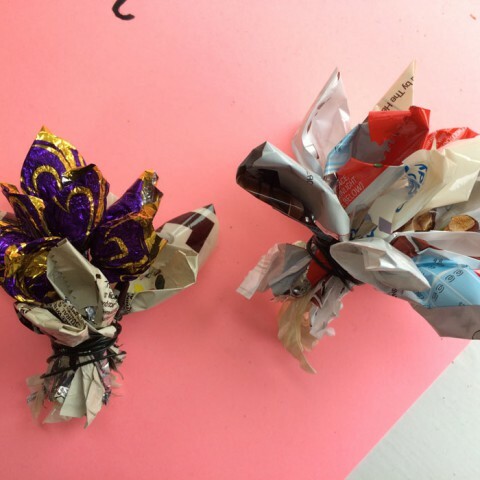 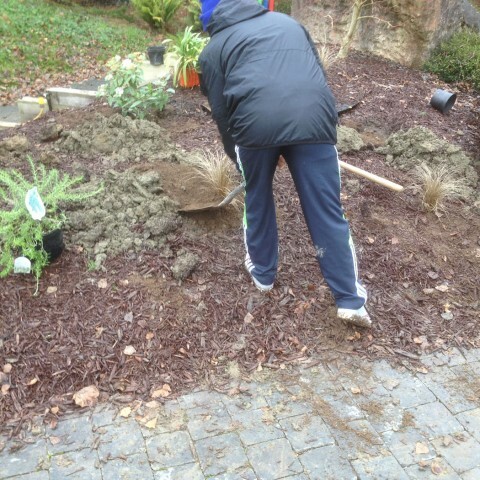 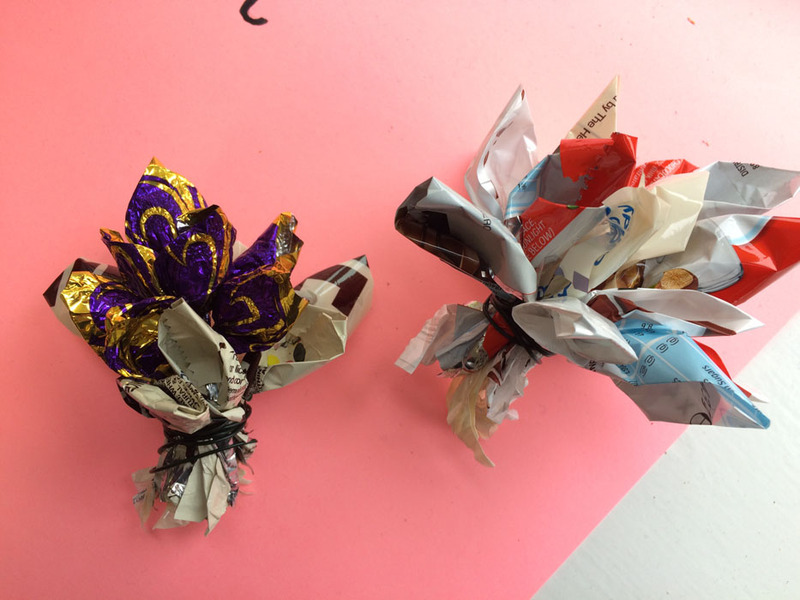 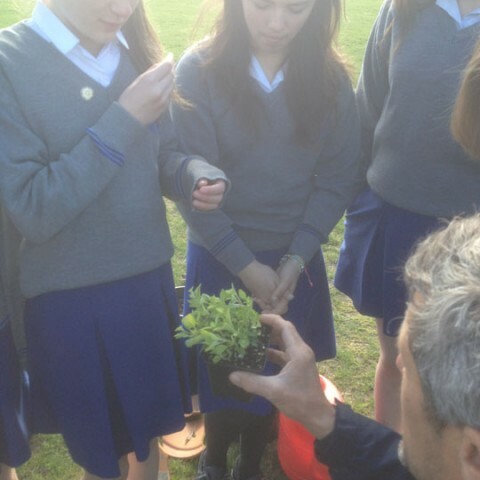 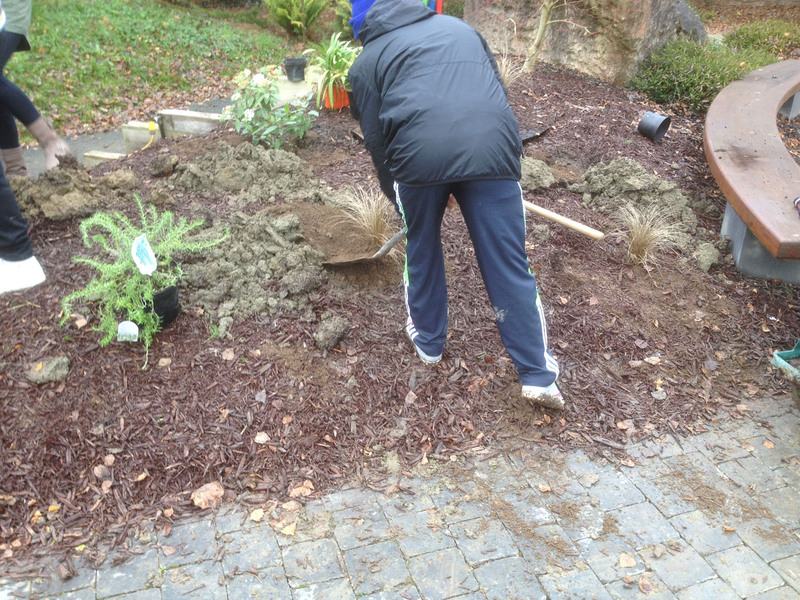 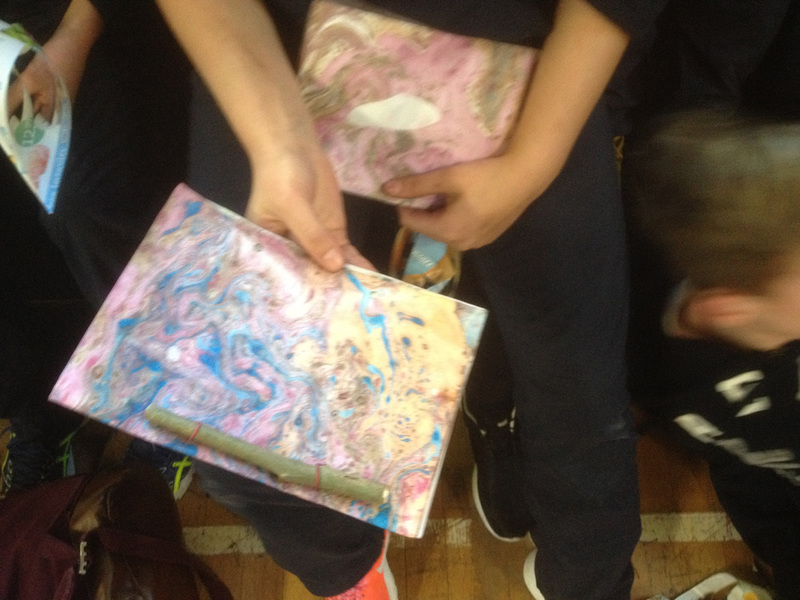 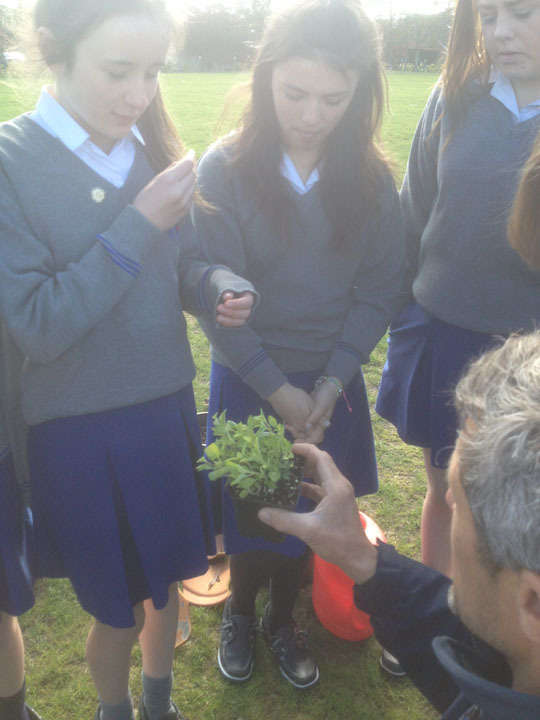 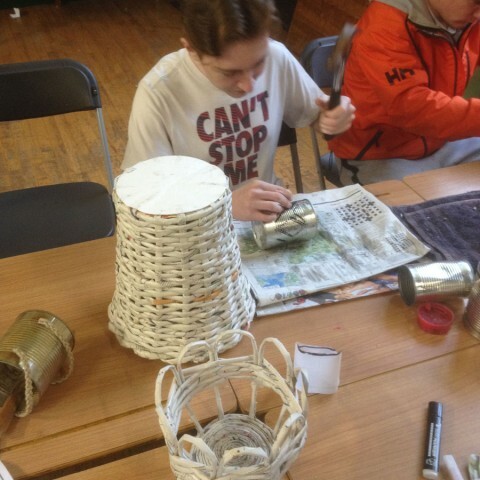 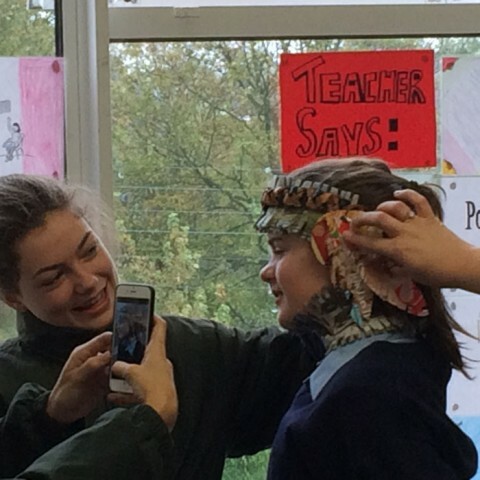 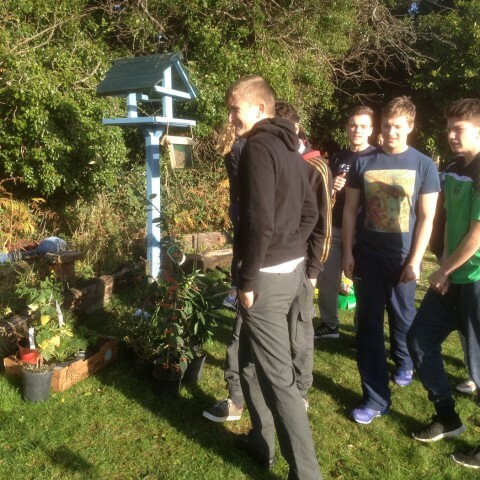 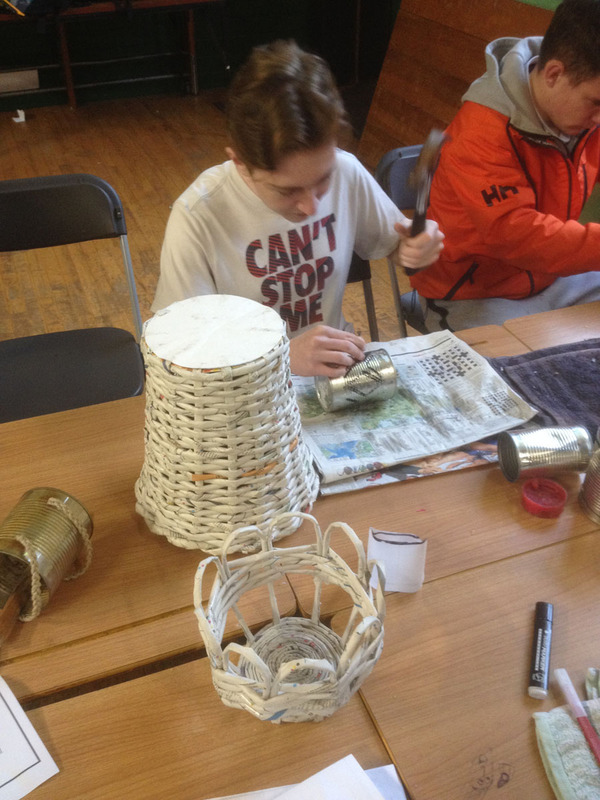 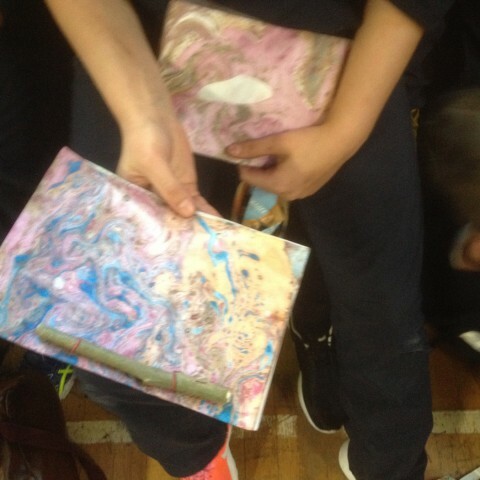 Comments Off on Coláiste Pobail Osraí – Garden Creations and Repurposing Workshop! 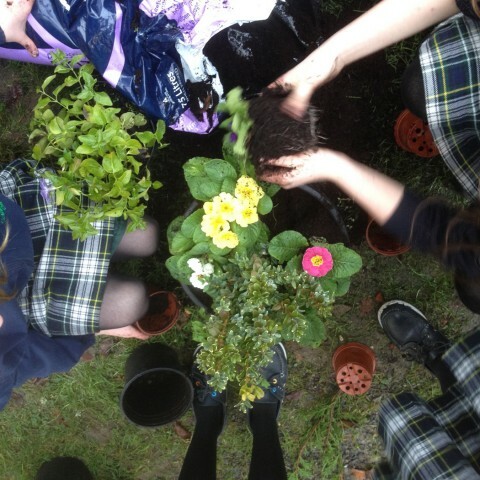 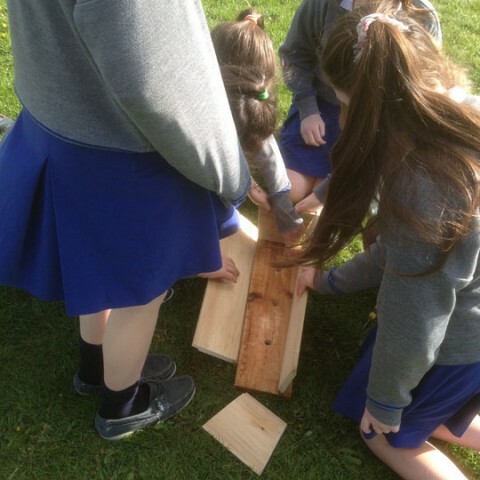 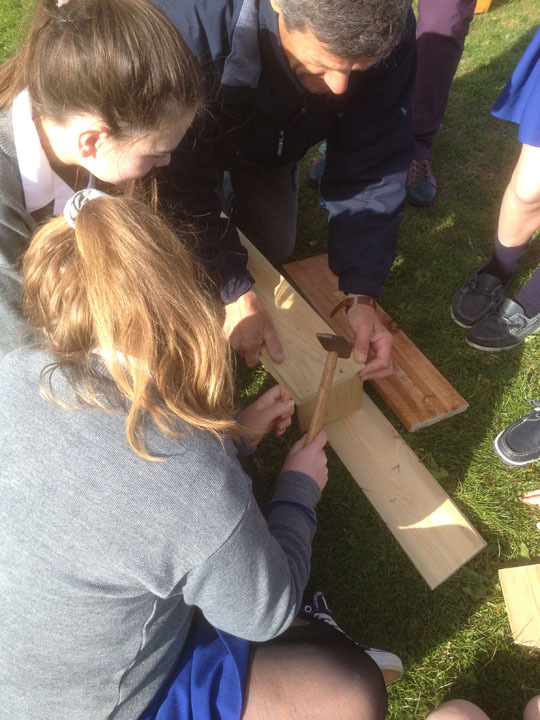 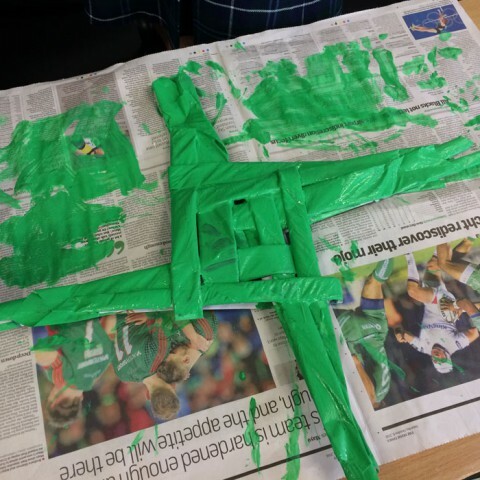 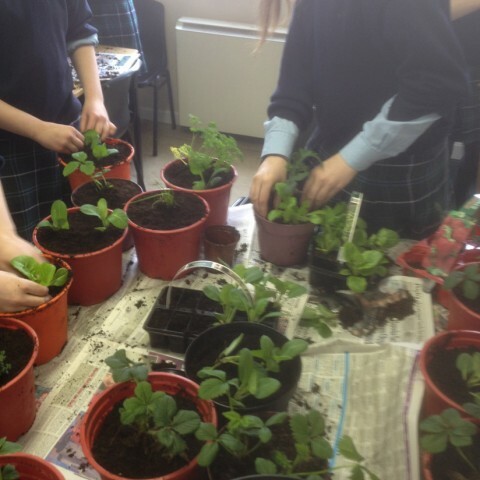 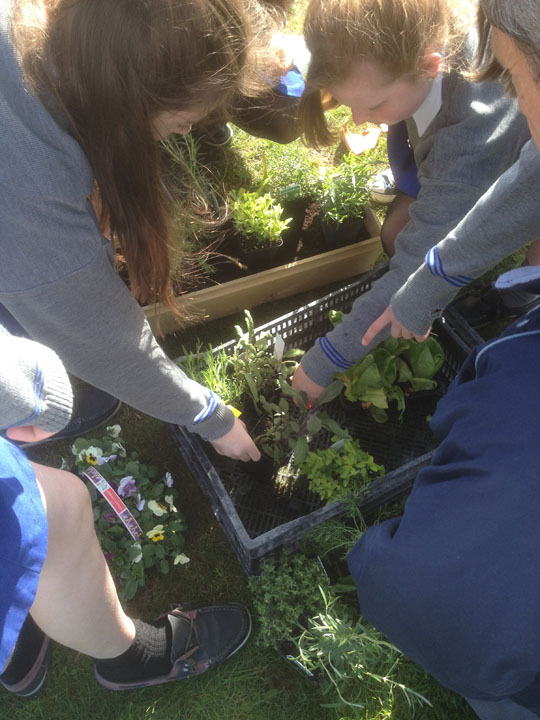 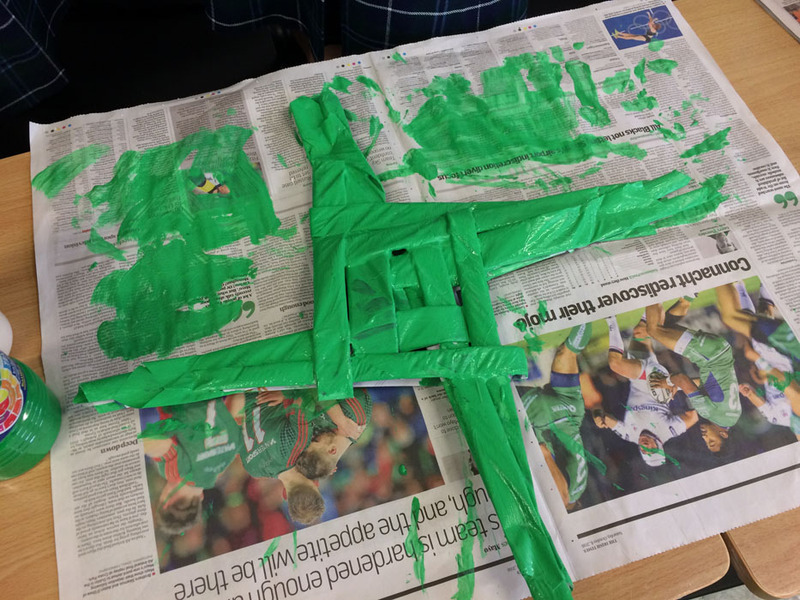 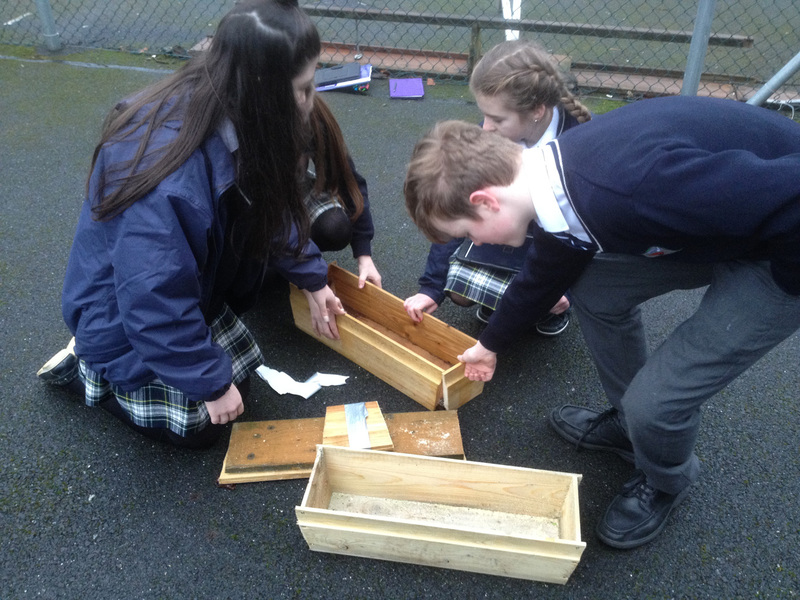 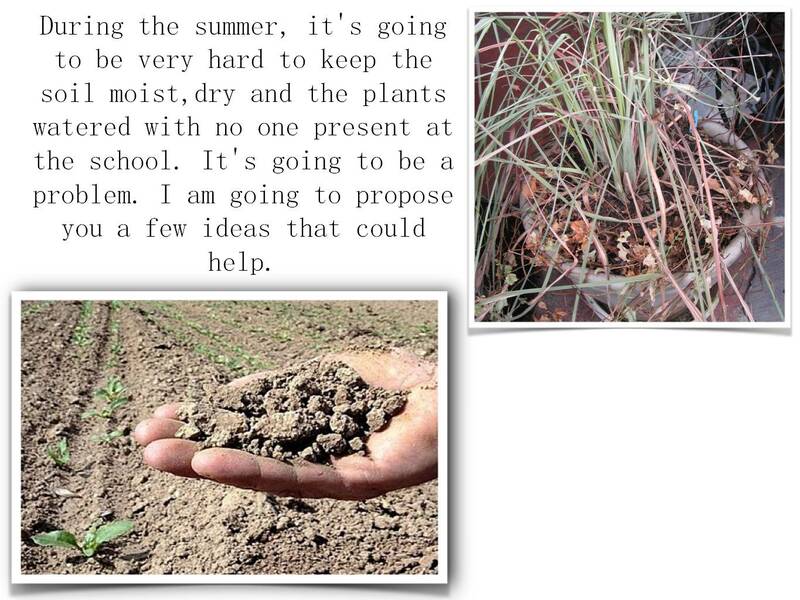 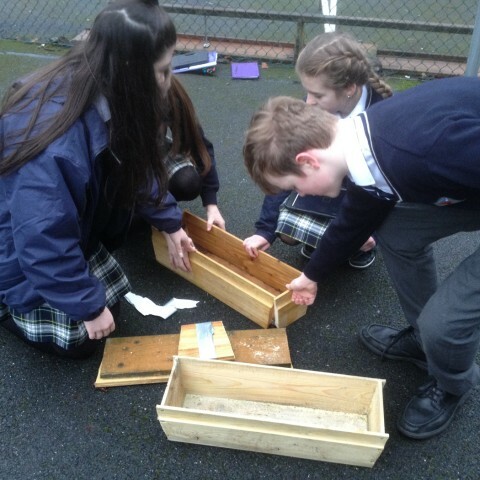 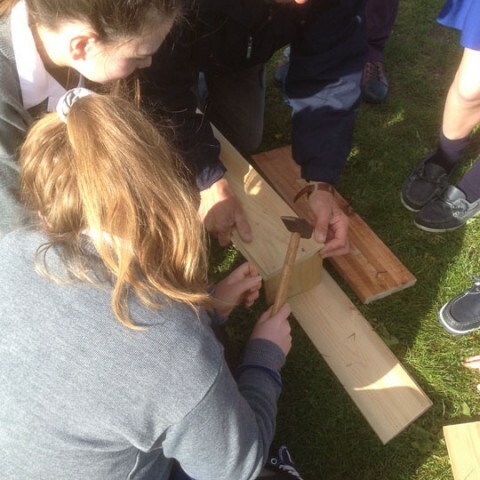 St Patrick’s Cathedral Grammar School – Biodiversity, Garden Construction & Sustainability Workshop! 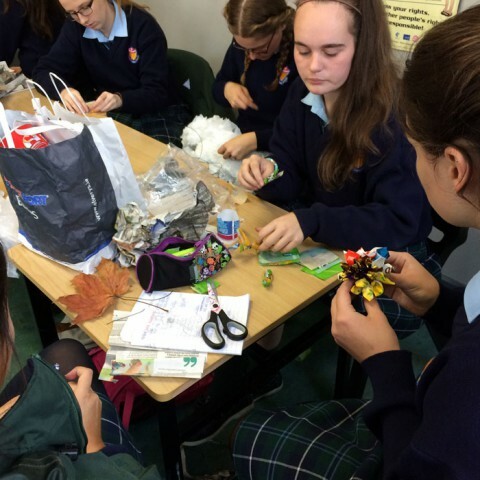 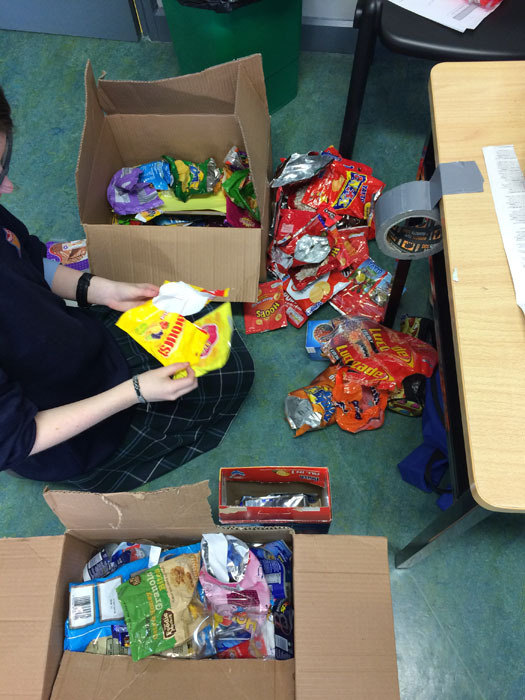 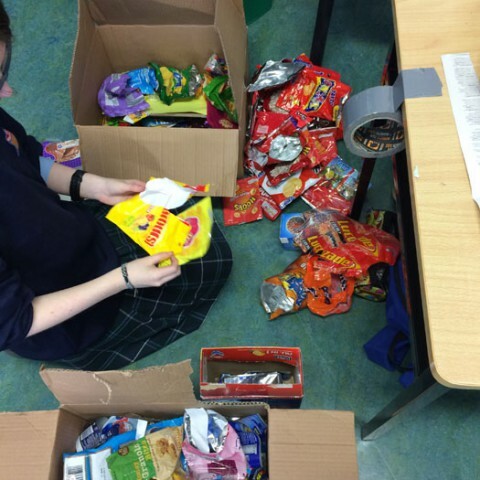 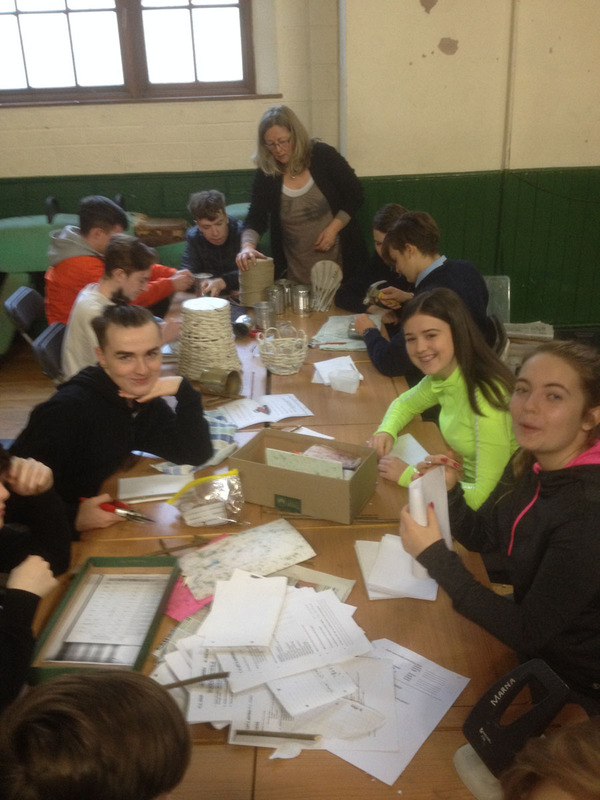 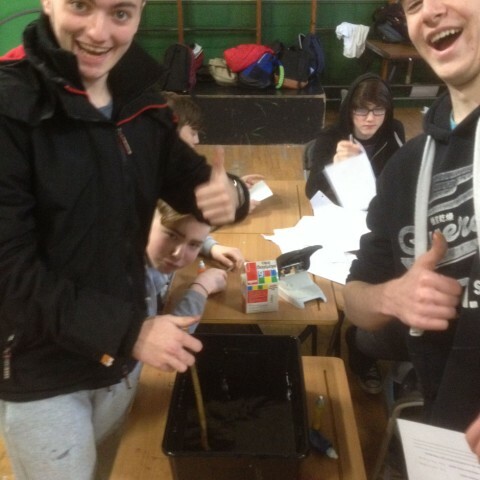 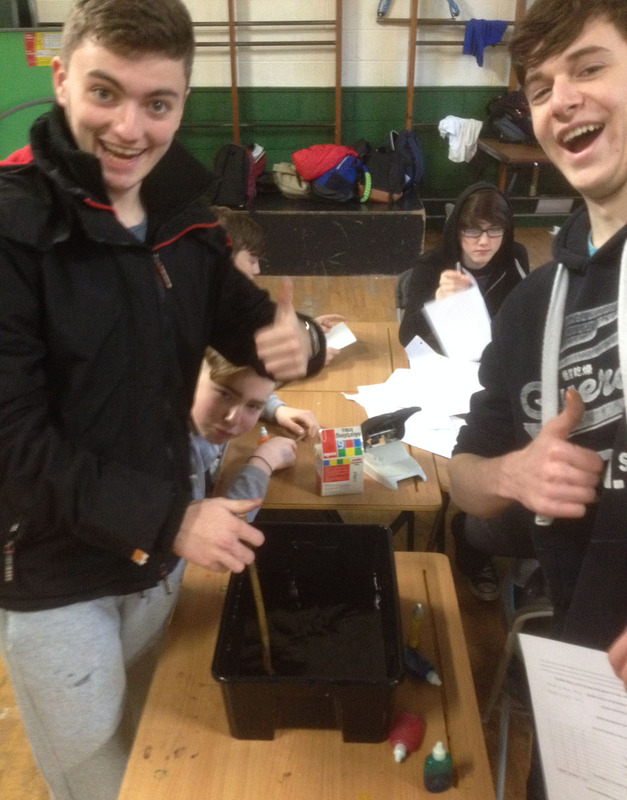 Coláiste Pobail Osraí – Household & Waste Repurposing workshop! 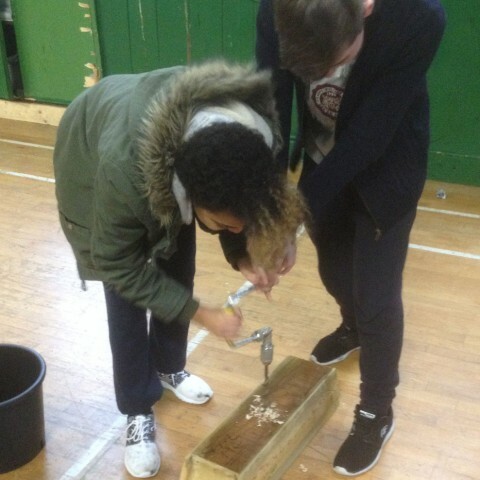 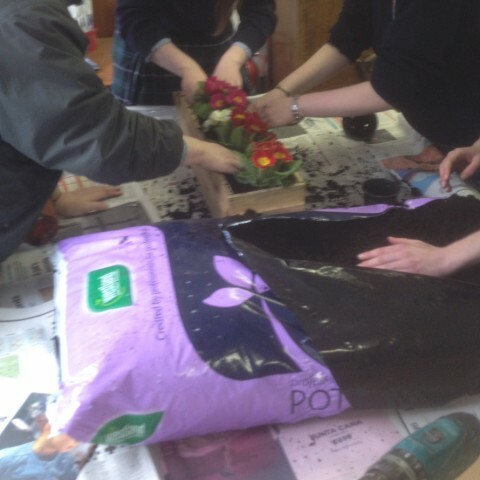 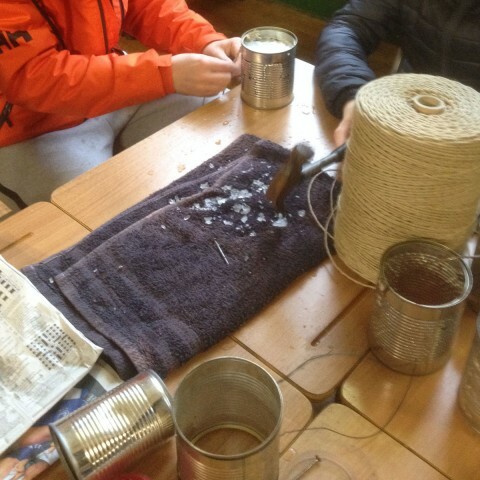 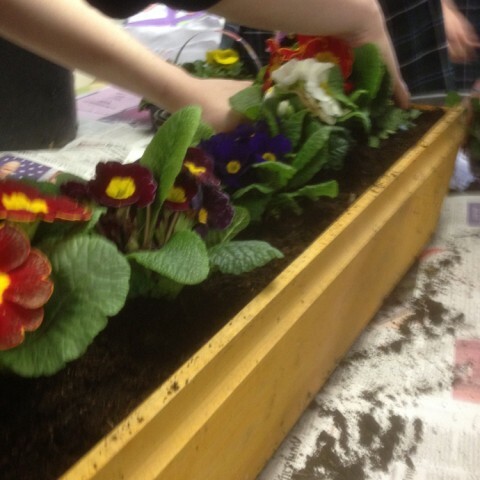 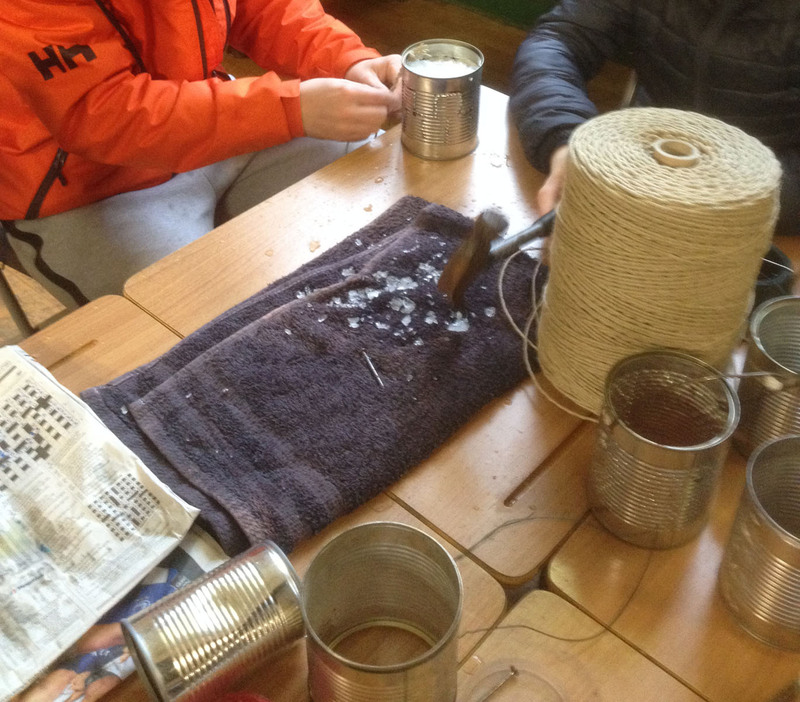 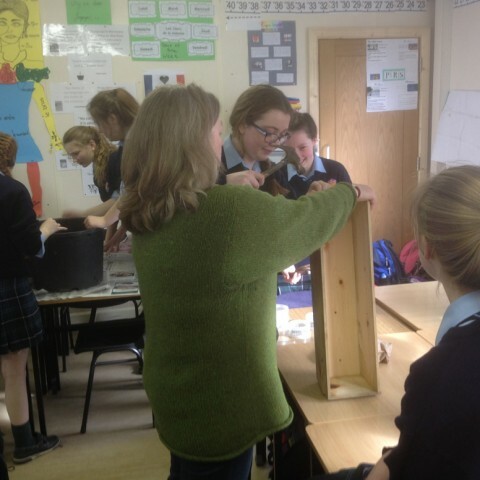 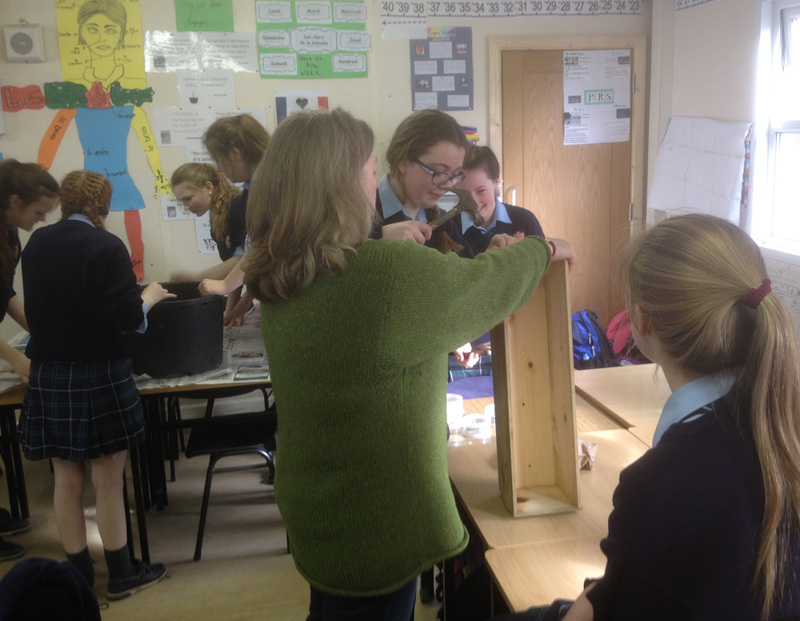 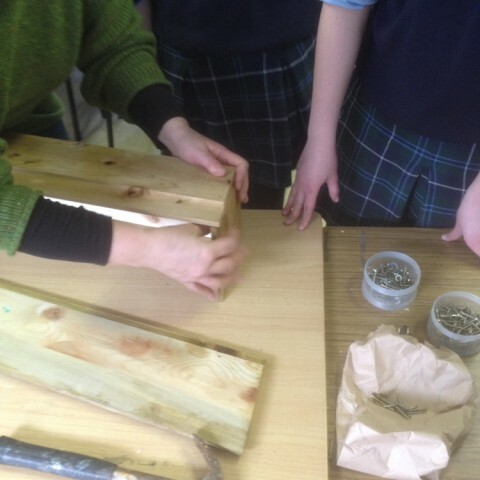 As part of our expanded range of workshops, Coláiste Pobail Osraí took part in a Household & Waste Repurposing workshop! 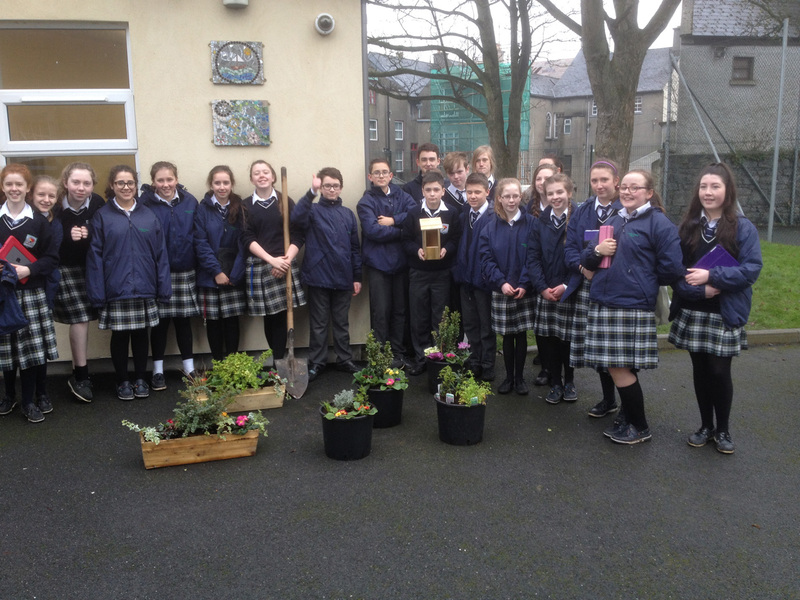 Students from the Green Schools Committee in Templecarraig School in Greystones, Co. Wicklow delivered an impressive presentation on sustainability in and around their new school premises. 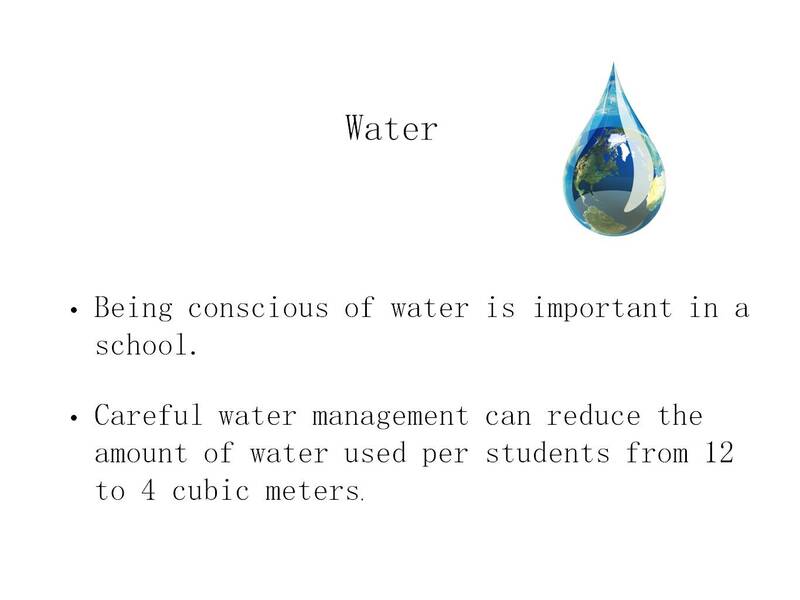 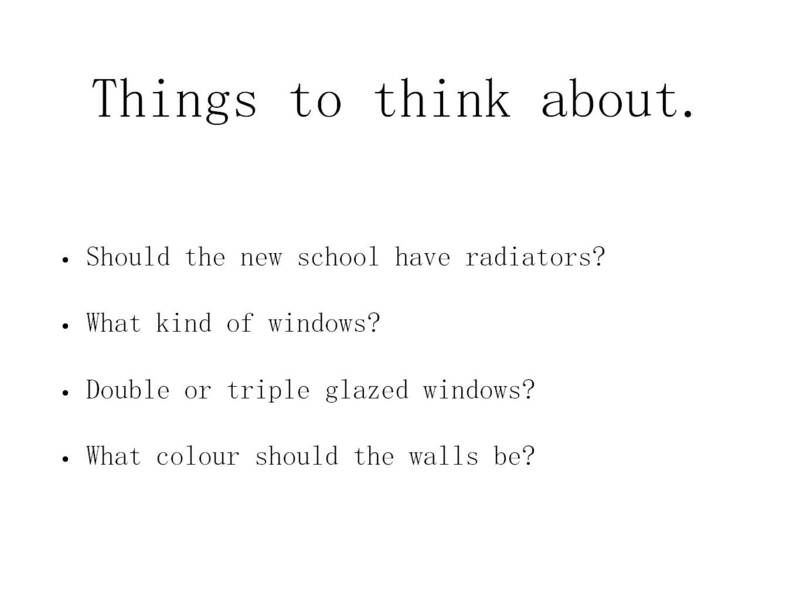 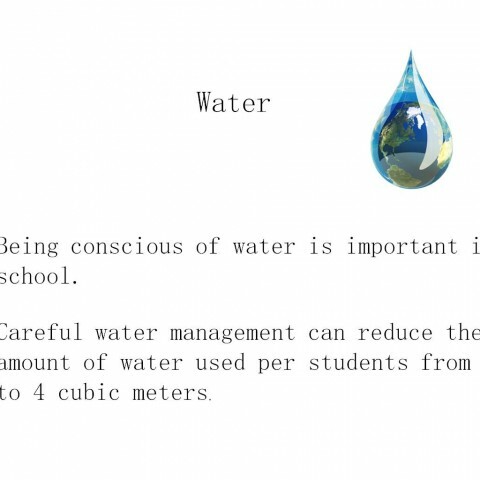 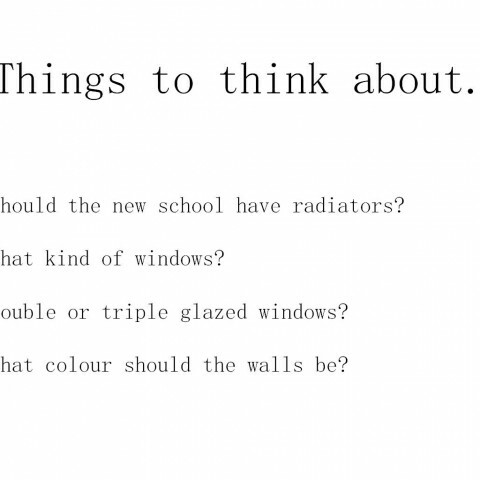 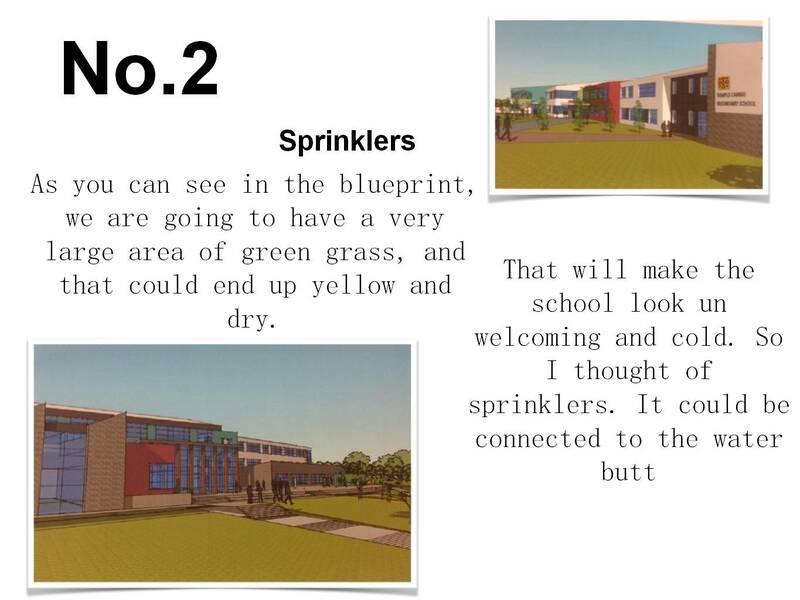 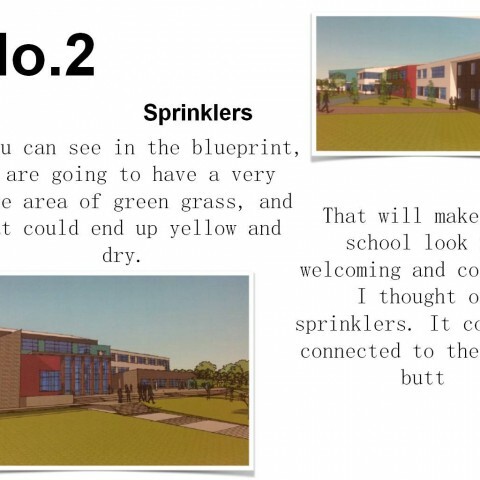 The presentation, which is available to view using the link below, focused on the different aspects of sustainability which need to be considered with their move into the new school. 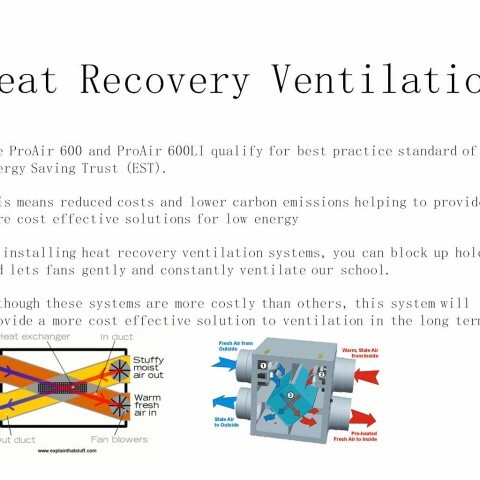 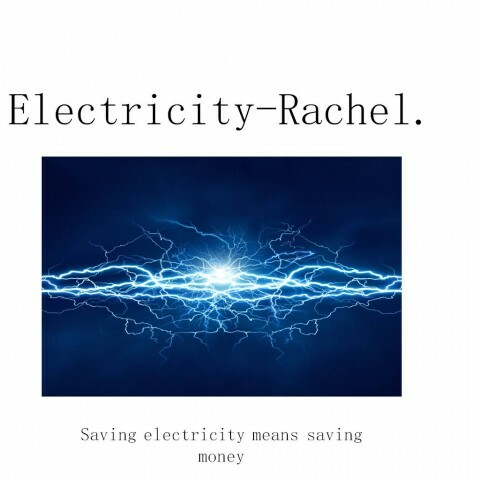 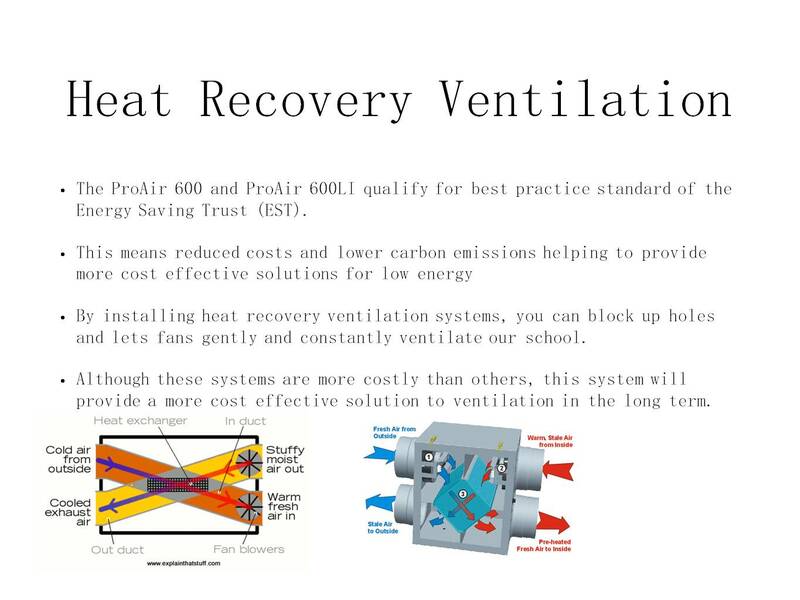 The students presented their findings and suggestions across a range of topics and had some fantastic methods for saving energy based on their findings. On a breezy Monday morning mentors Elmer and Laurie visited the Loreto Secondary School in Kilkenny and met a shivering group of first and fourth year students. 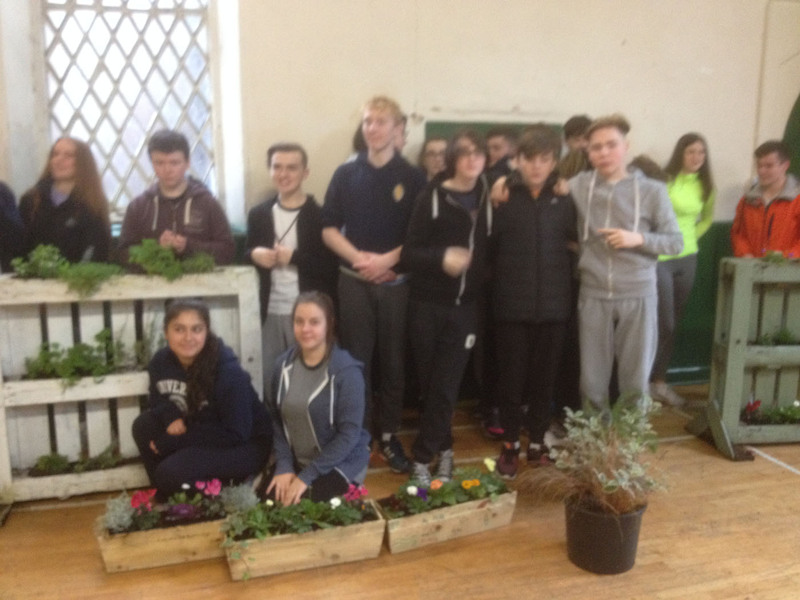 The aim was to build, plant, and donate two window boxes to the Troyscourt Homes for the elderly in St. Canice’s parish in record time! 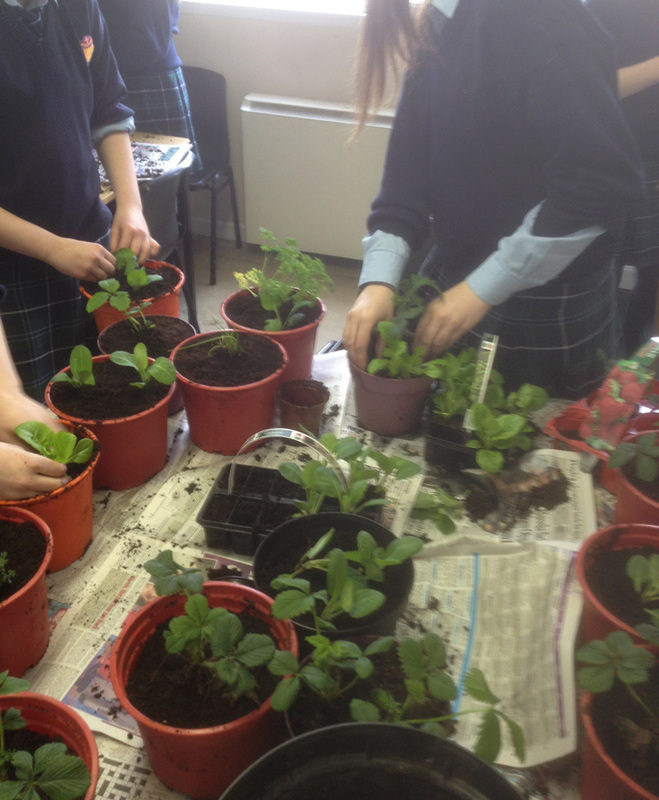 Returning to Newtown School in Waterford this week, we were delighted to see that all the new plantings are coming along well, and there is a great selection of vegetables soon ready for harvesting, including broad beans, lettuce and herbs. 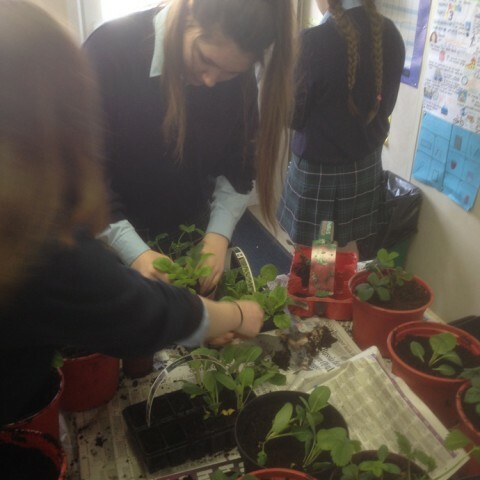 The students and staff in the school are also getting on board with growing food, and have taken the challenge to grow peas as part of a new nationwide challenge. 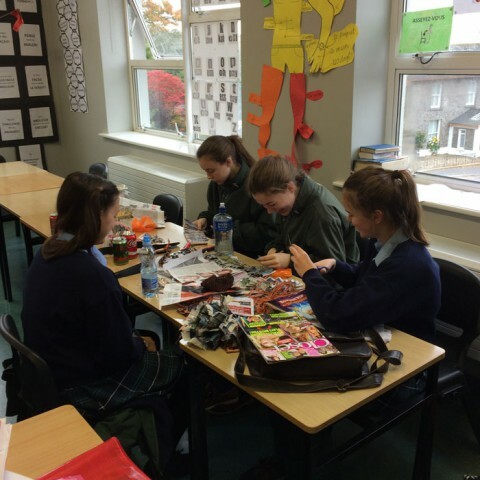 With the end of term only weeks away, the Susliving Tech Mentors returned to Callan CBS for the last workshop with this group of Transition Year students. 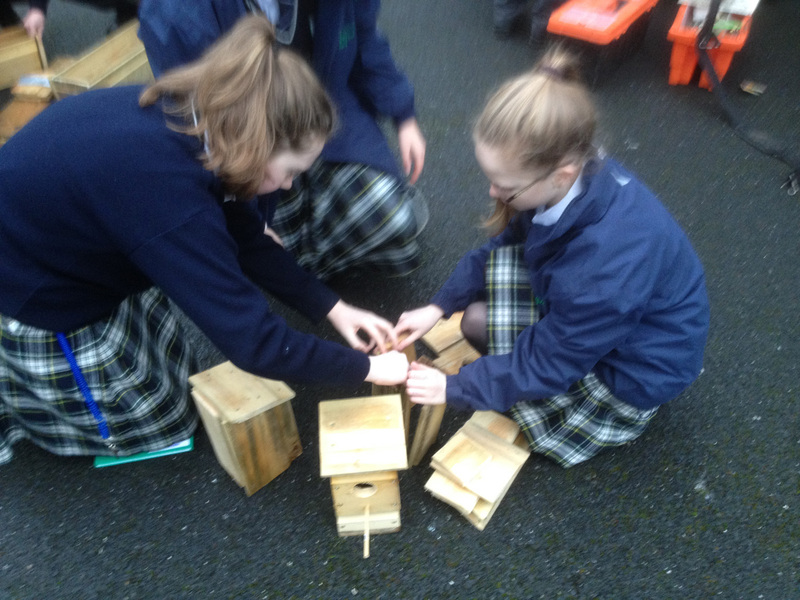 Since their first visit to the Susliving Demonstration Centre, the students have built their understanding and skills in sustainability while also improving the school environment in the process. 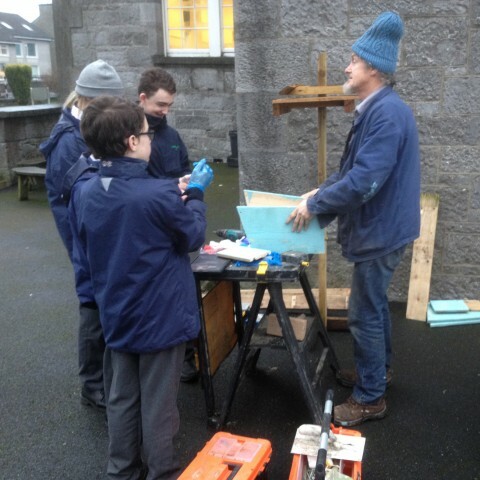 On Wednesday 22nd April the Susliving Tech Mentors traveled to Newtown School in Waterford for our first workshop with the school since their visit to the Susliving Demonstration Centre. 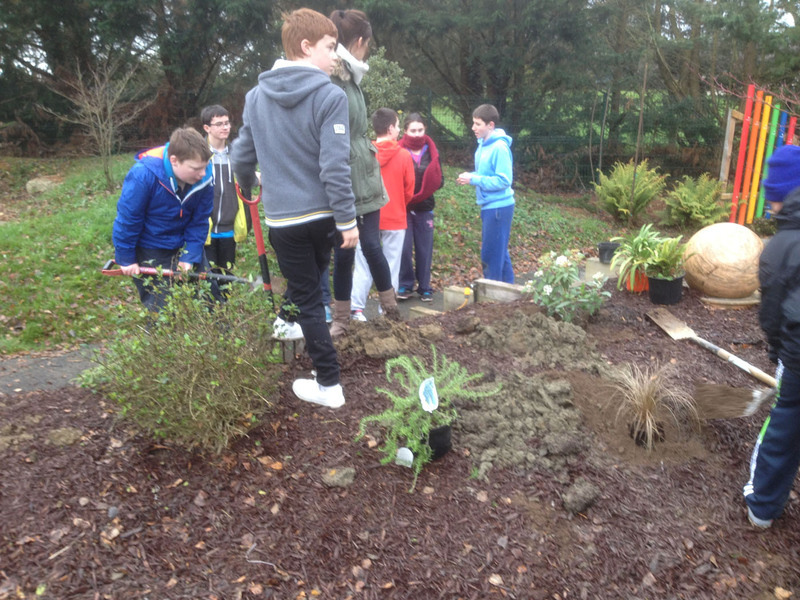 With the Transition Year students, we put into practice some of the ideas on biodiversity that the students had experienced at the Susliving Demo Centre. 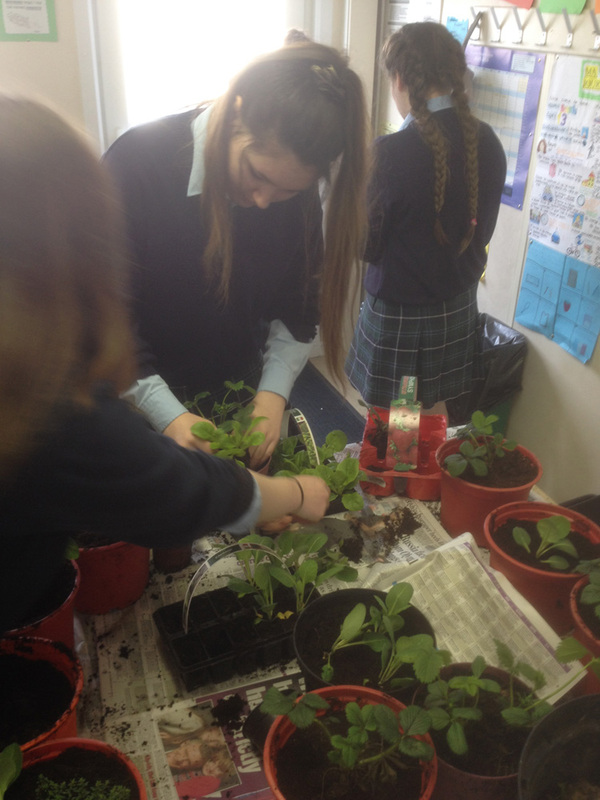 With a polytunnel and vegetable plot in use in the school, they have already taken some steps to learn about growing food. 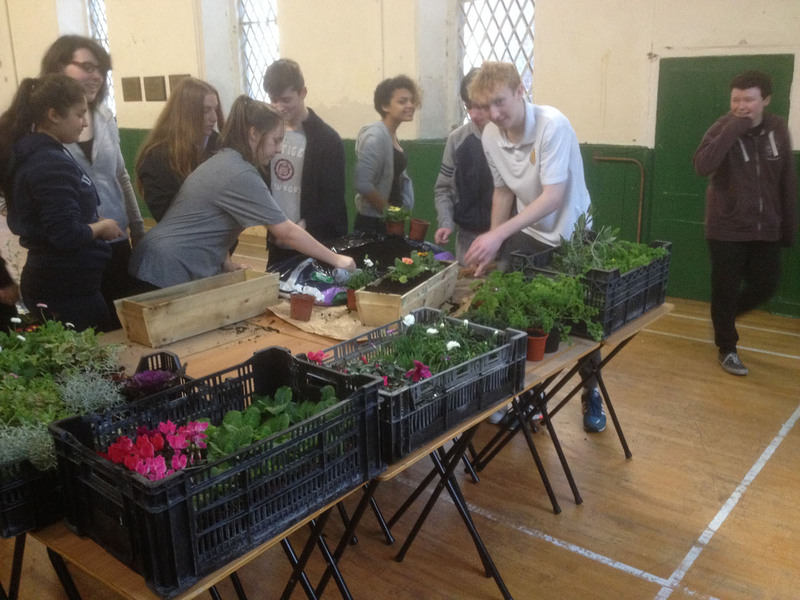 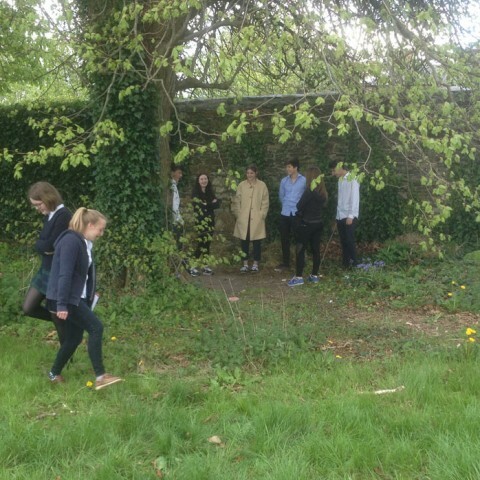 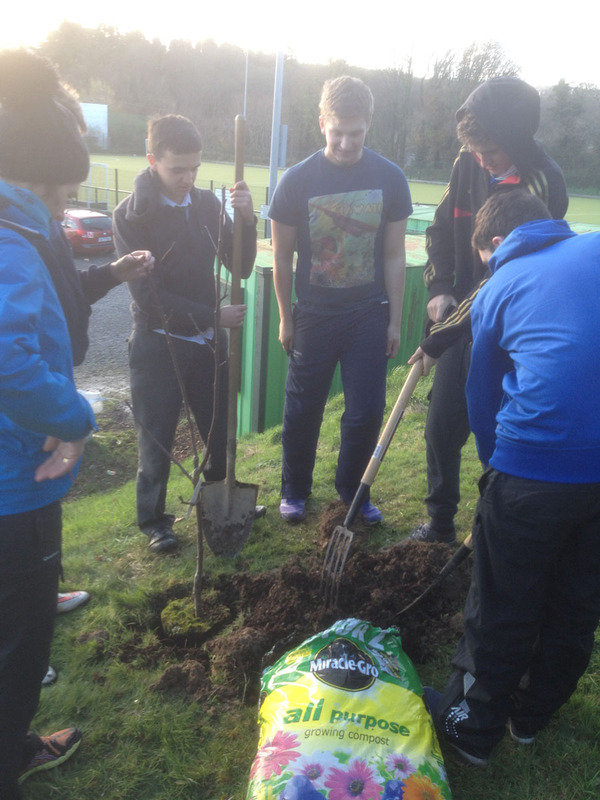 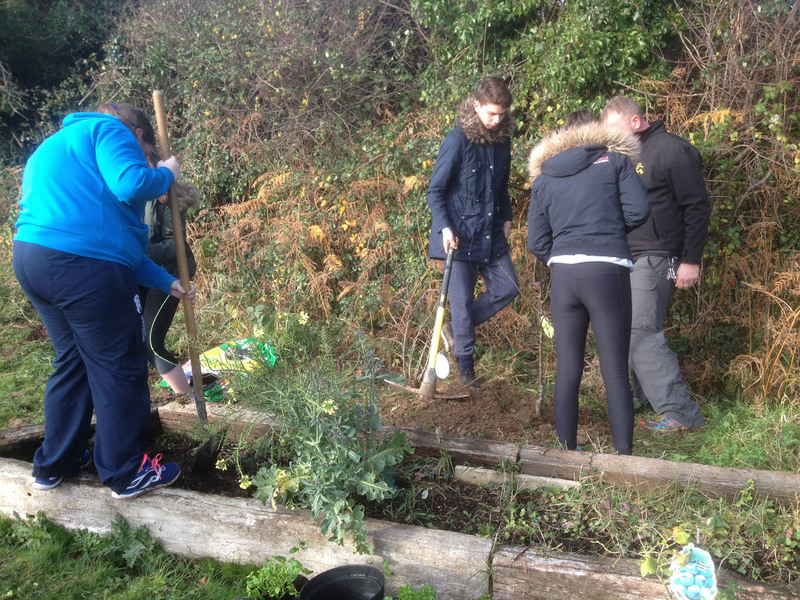 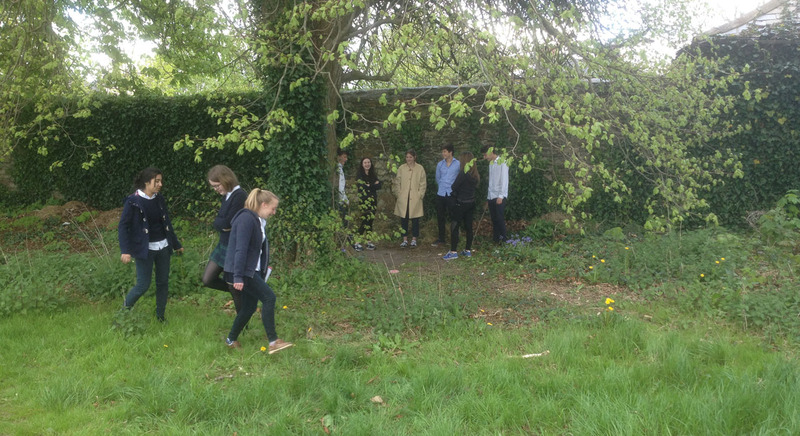 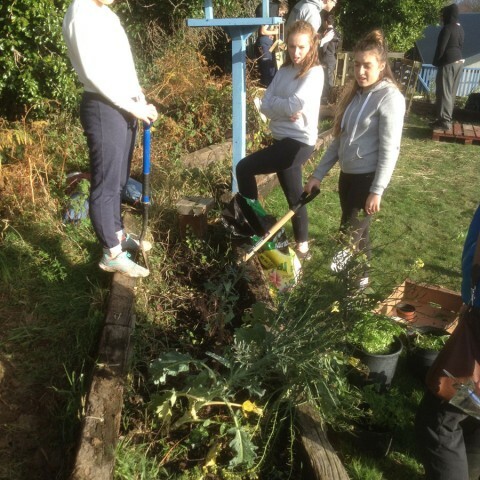 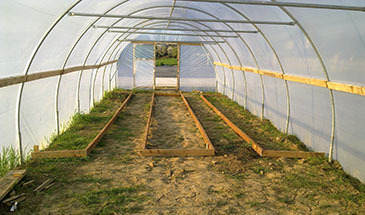 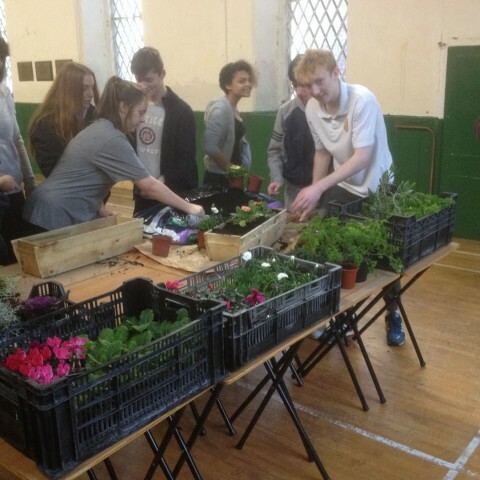 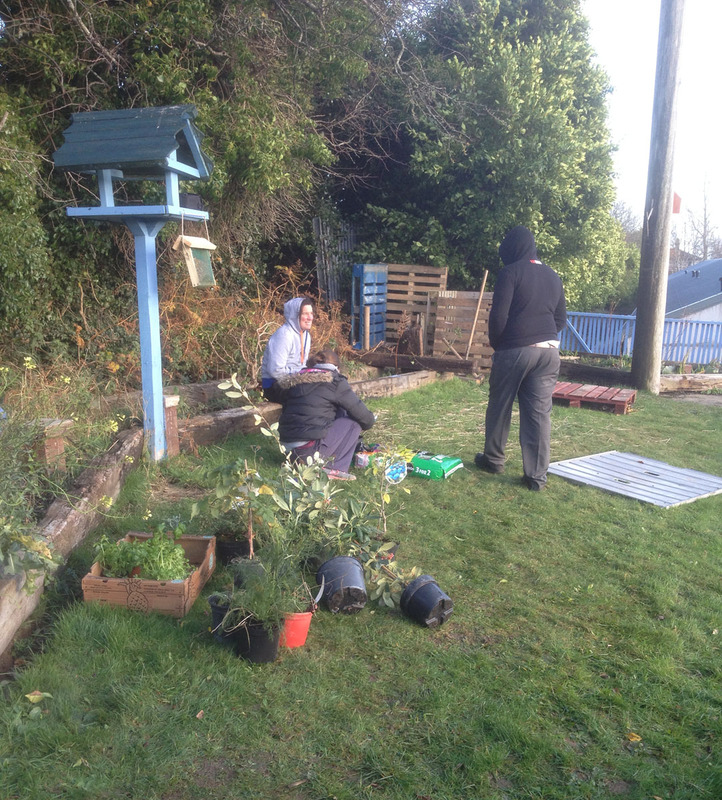 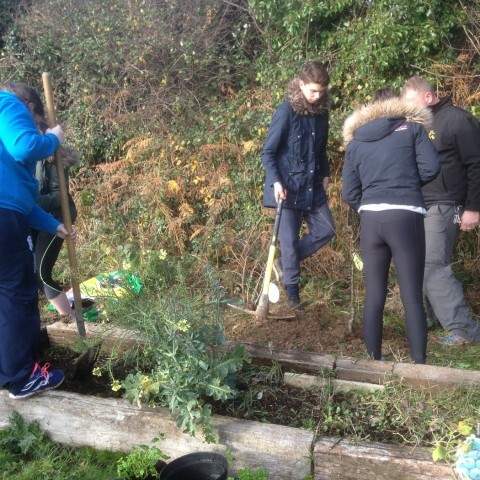 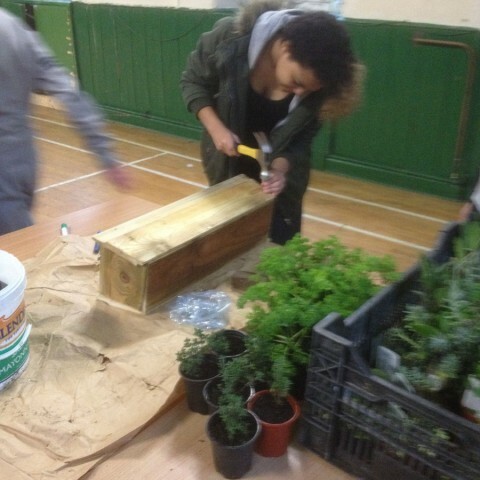 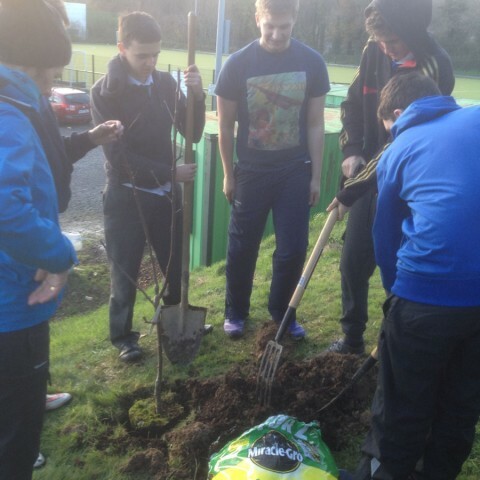 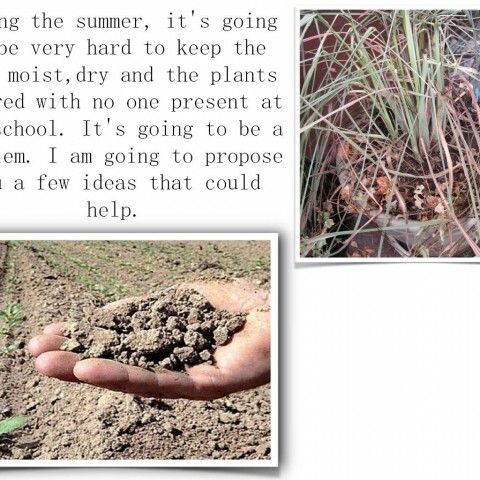 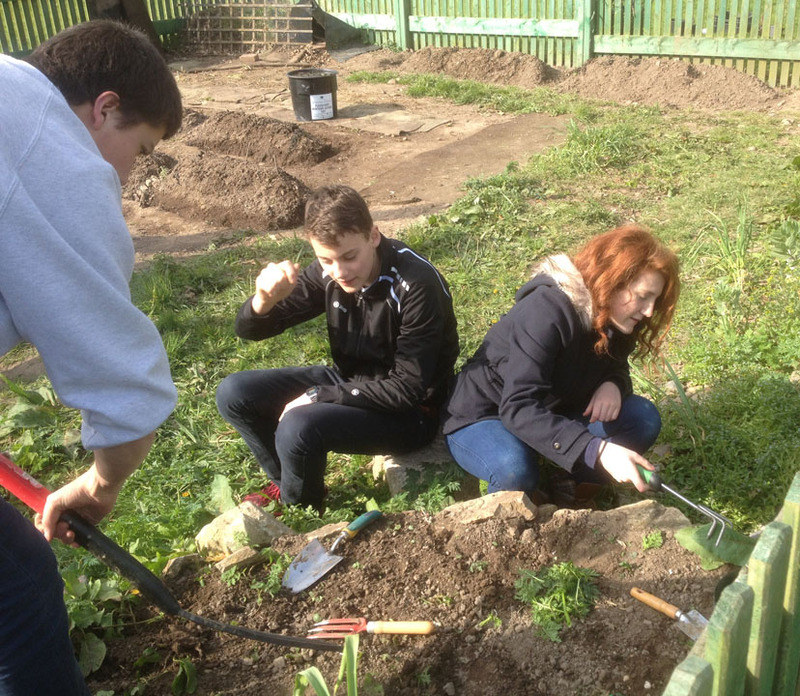 In our first workshop with the students of Grennan College in autumn of 2014 they were presented with a bare field, and began the process of learning how to plan and create a community garden on the site of Thomastown Town of Food. 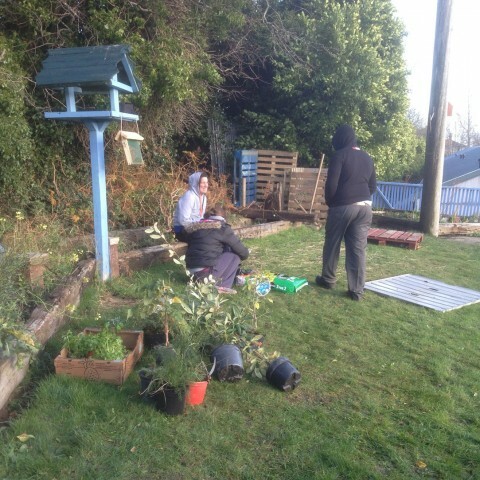 Over the series of workshops we have had with them, they have developed their skills in every aspect of the community garden. 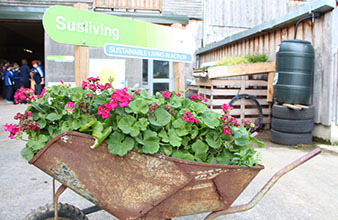 The Susliving Organisation was founded for the purpose of promoting sustainable living at home, in the community and in the workplace. 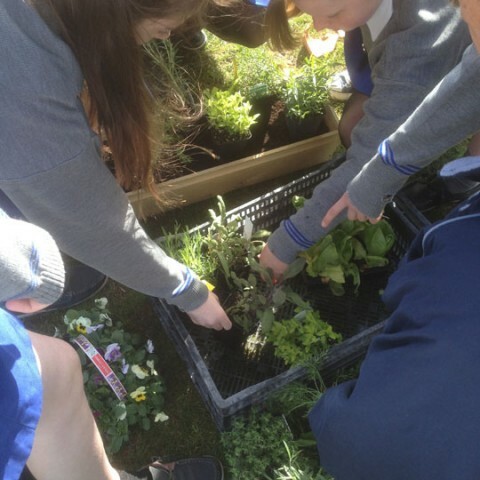 Susliving provides the opportunities to explore different perspectives and topics of sustainable living at home, at work, in school or elsewhere in the community. 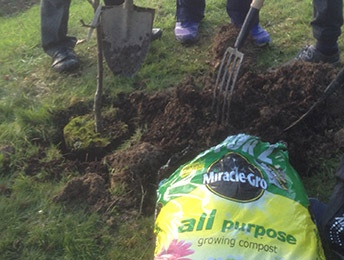 Together we can explore the steps towards a better and more sustainable world. 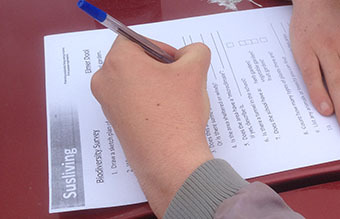 Susliving periodically runs pilot schemes and programmes focusing on energy conservation and sustainability awareness. 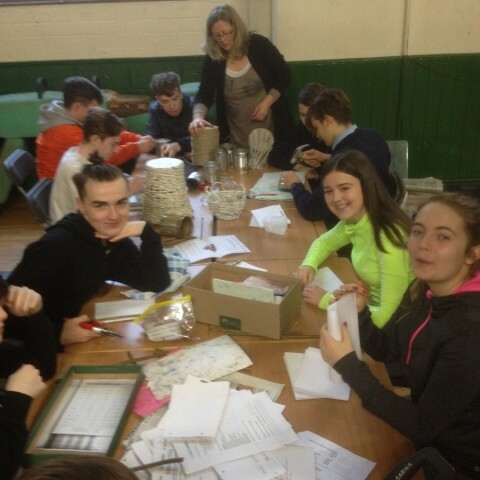 These programmes are announced locally and invitations to participate are sent to selected groups. 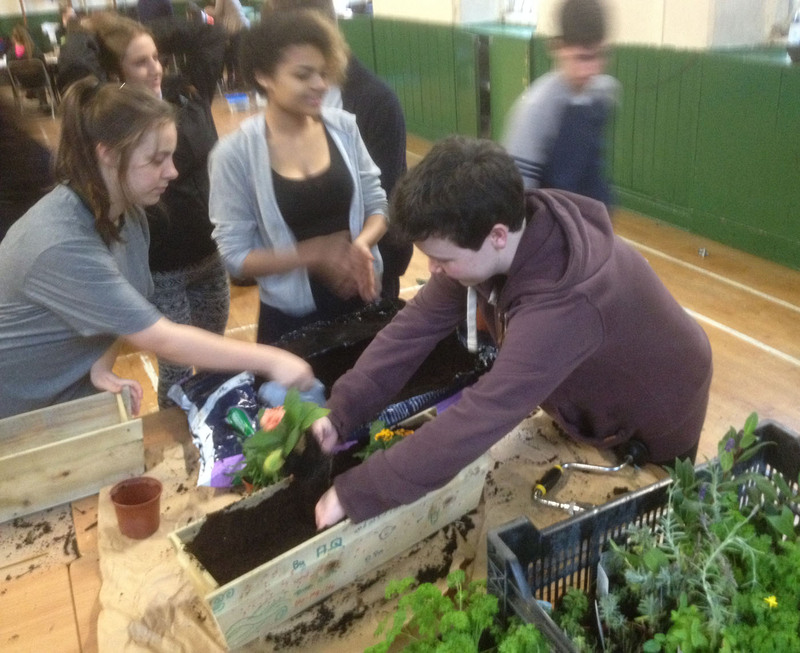 If have any questions or would like information on any of our previous programmes please don’t hesitate to get in touch.